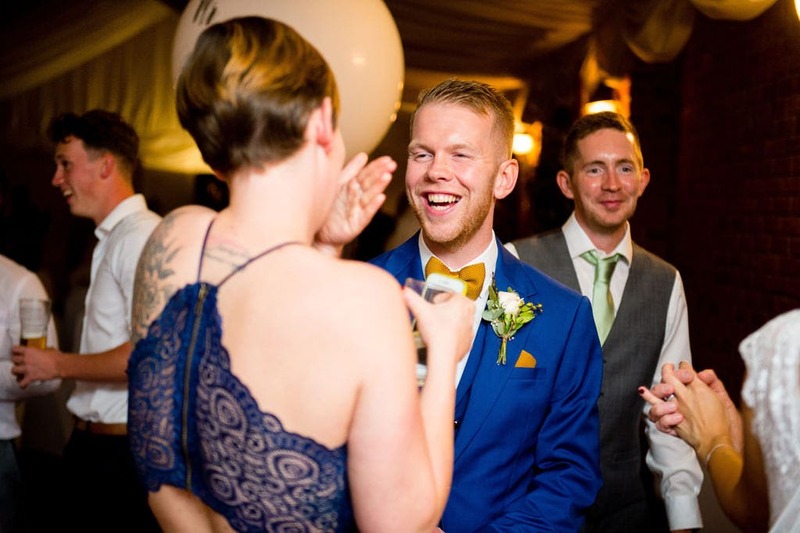 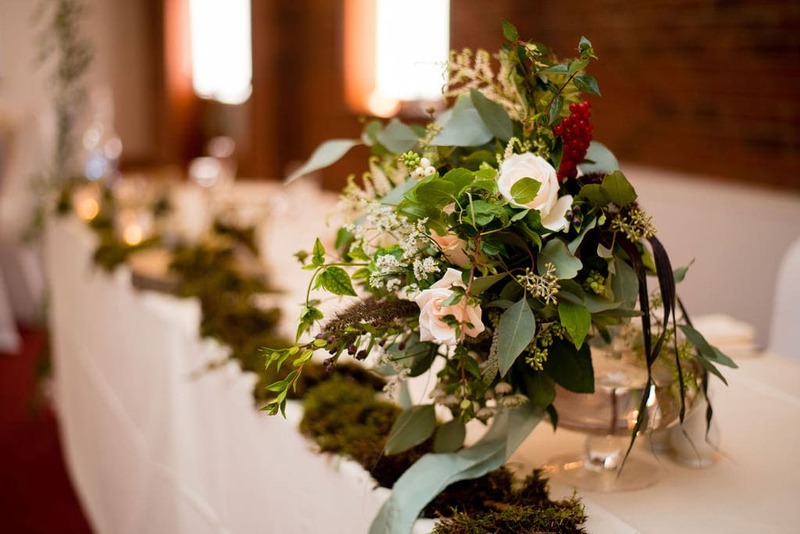 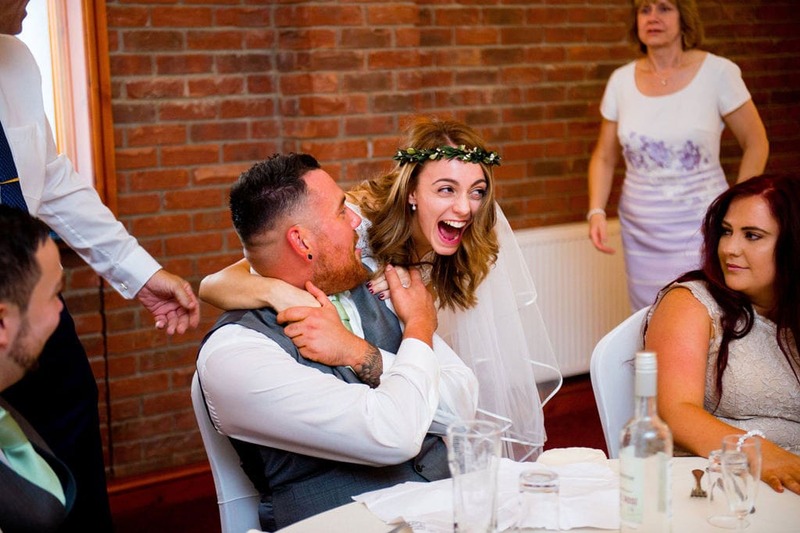 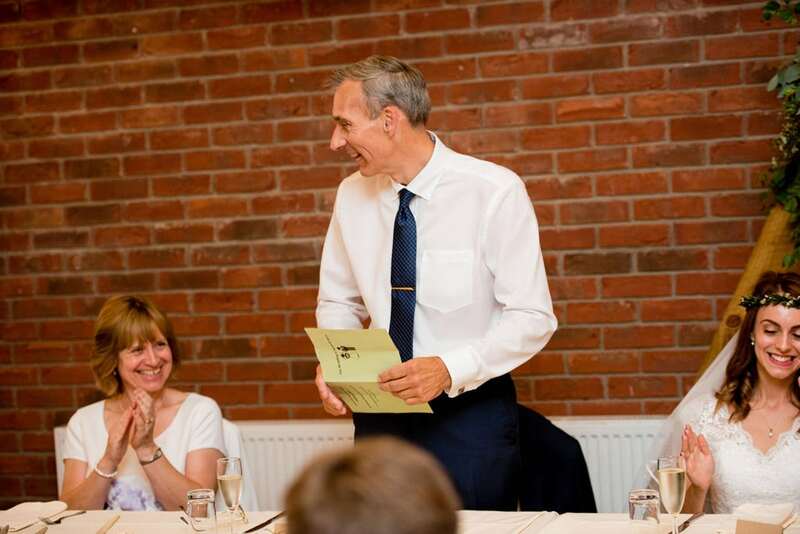 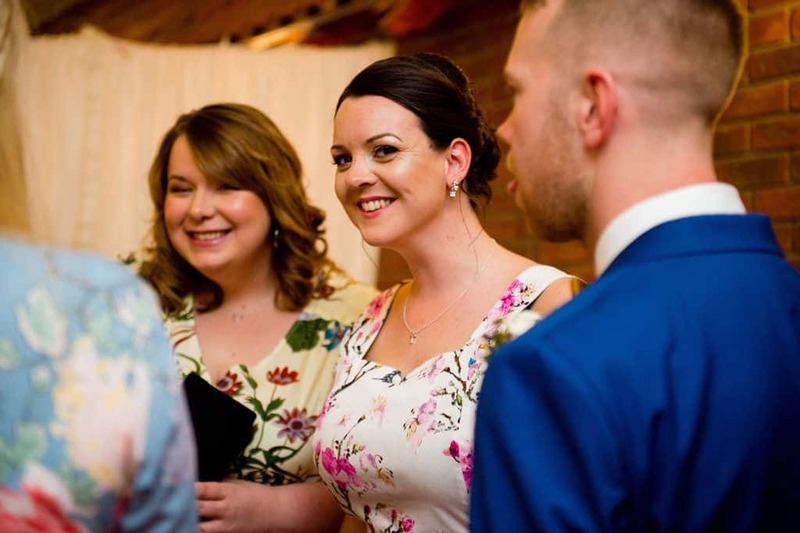 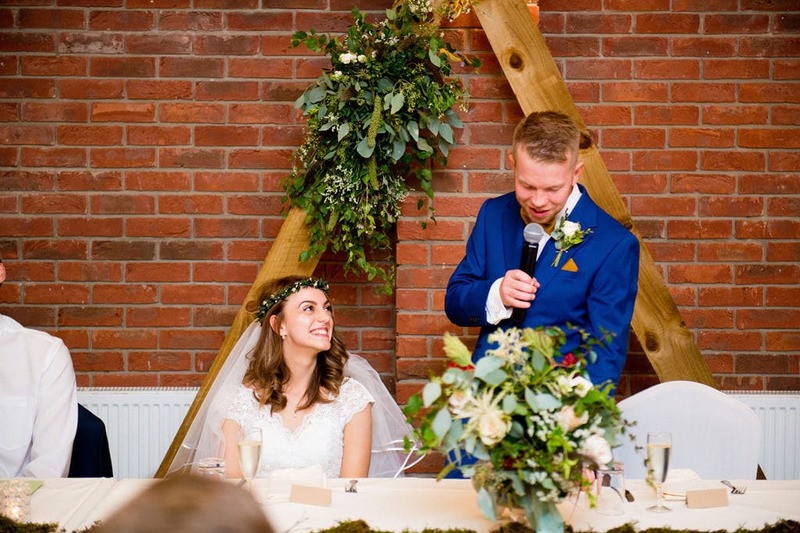 I met Sarah & Harry for the first time at the Nottingham Pumping House wedding fair (a beautiful wedding venue too). 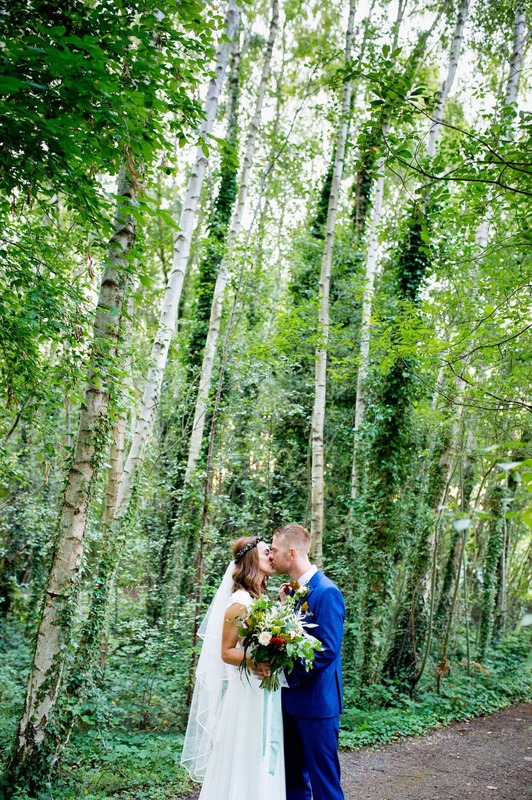 They headed over to my stand and thankfully said ‘yes’ to the wedding photographer! 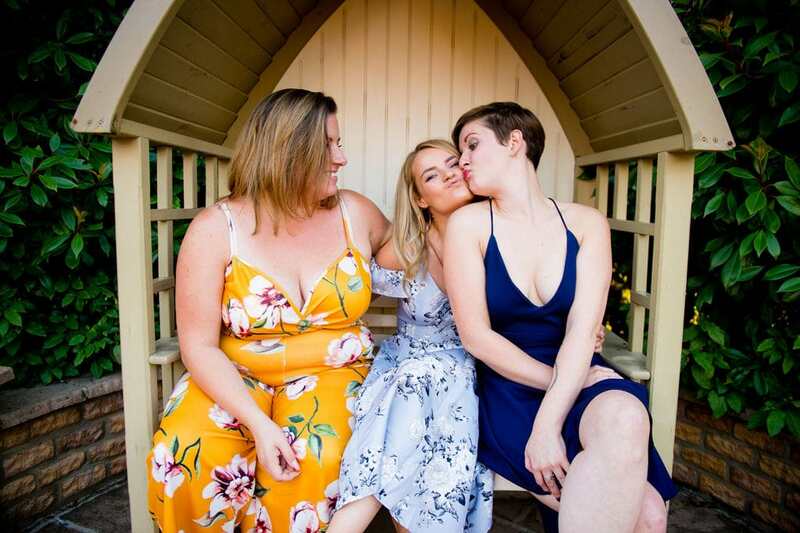 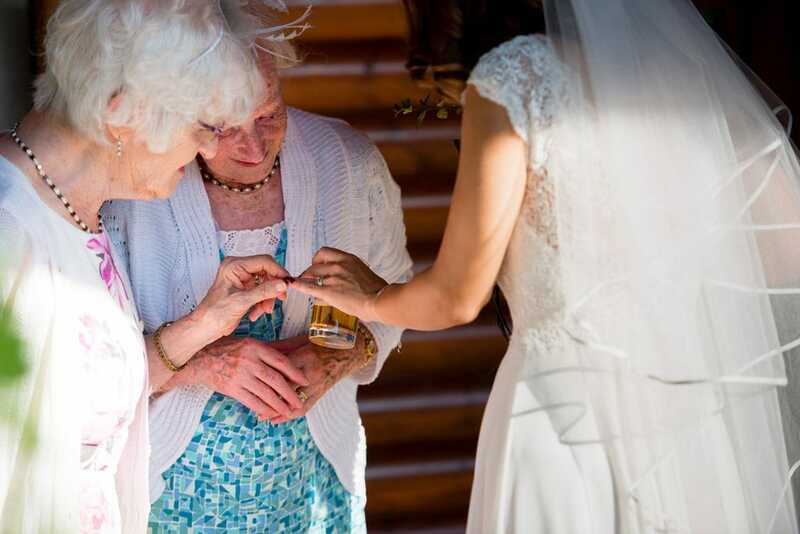 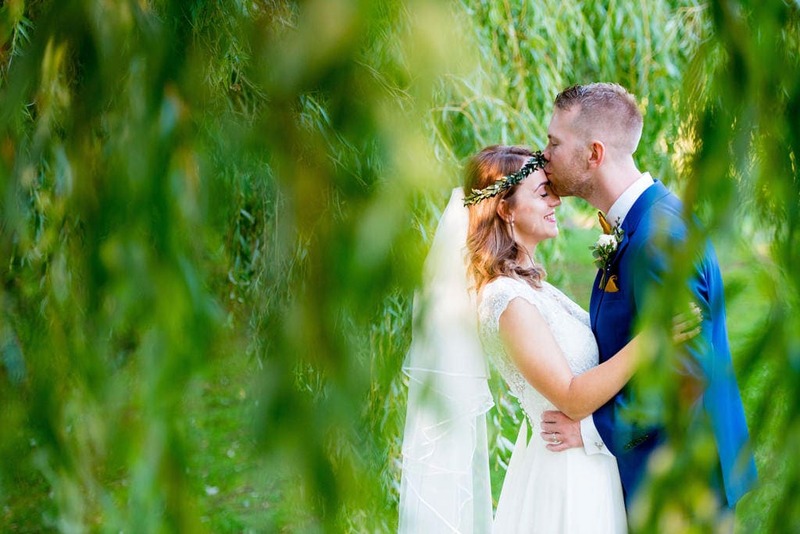 It’s always a really special moment when a couple picks you to be their wedding photographer. 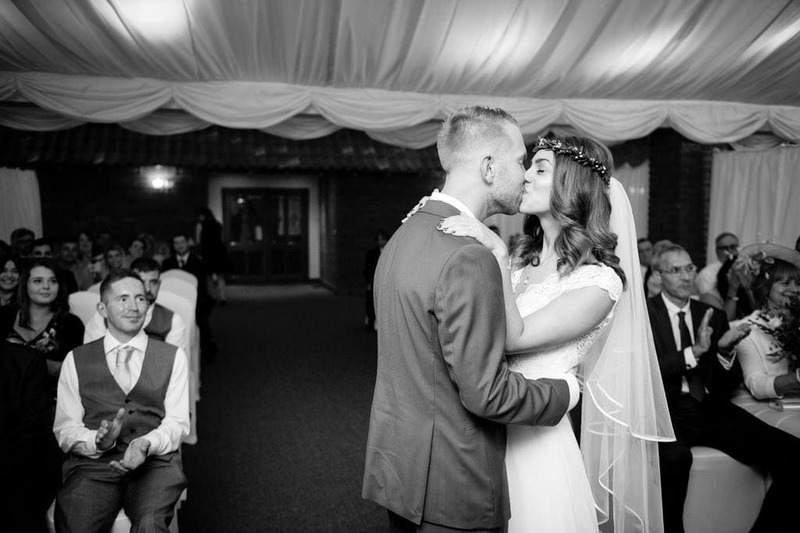 Everything clicks into place and you feel extremely humbled to be part of their story. 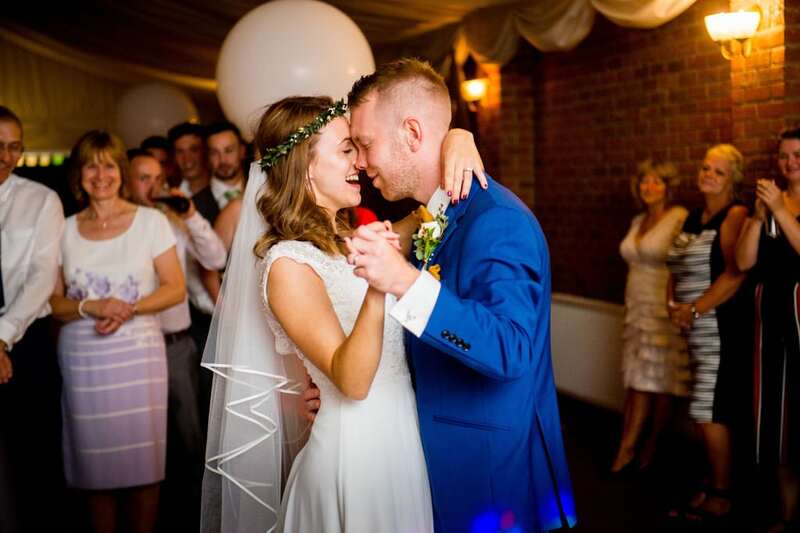 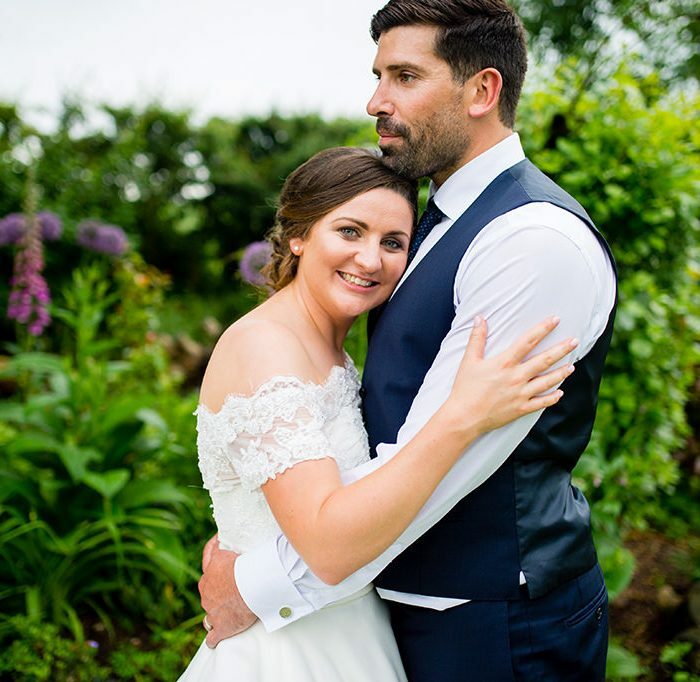 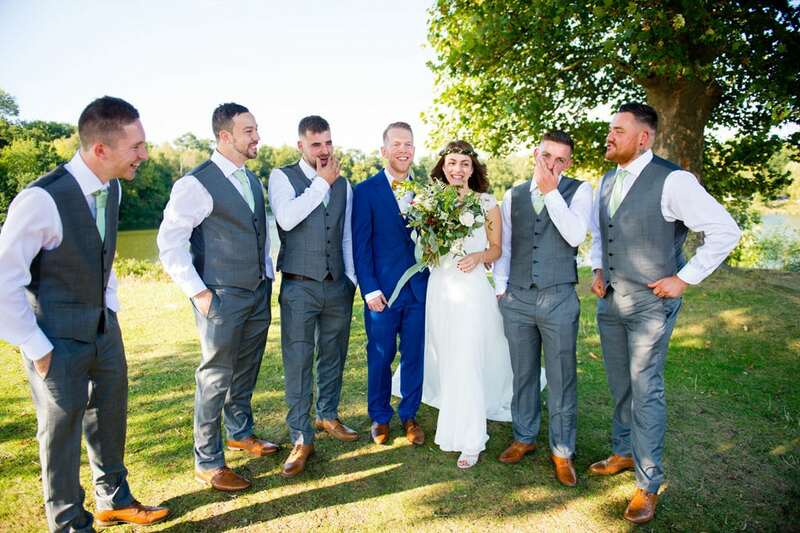 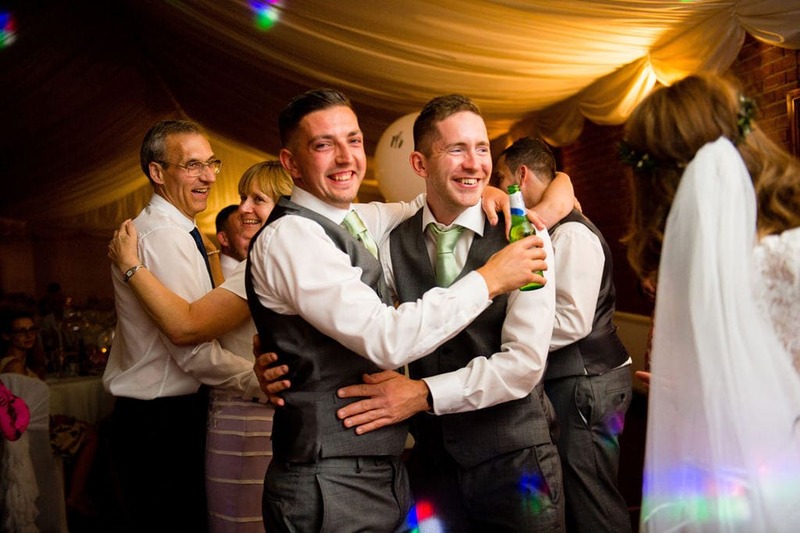 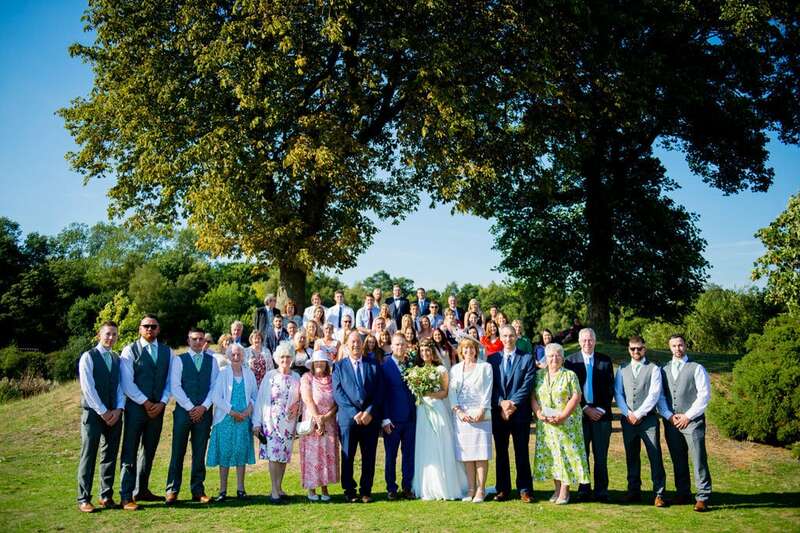 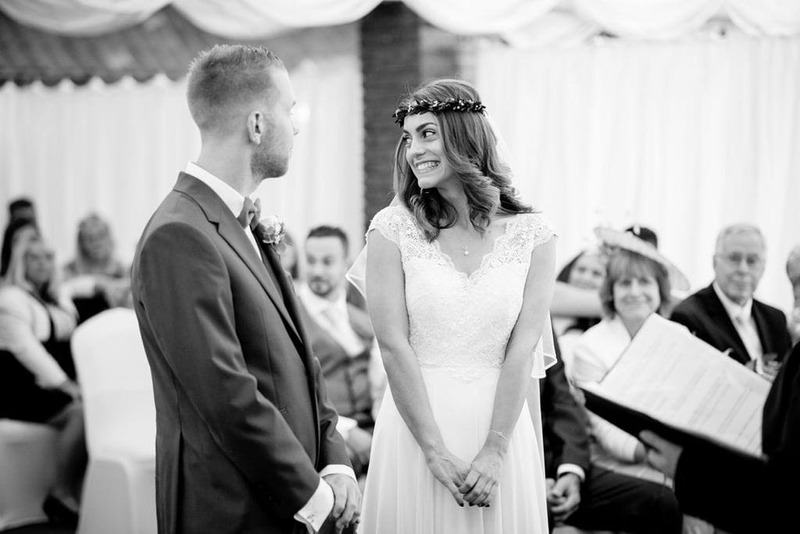 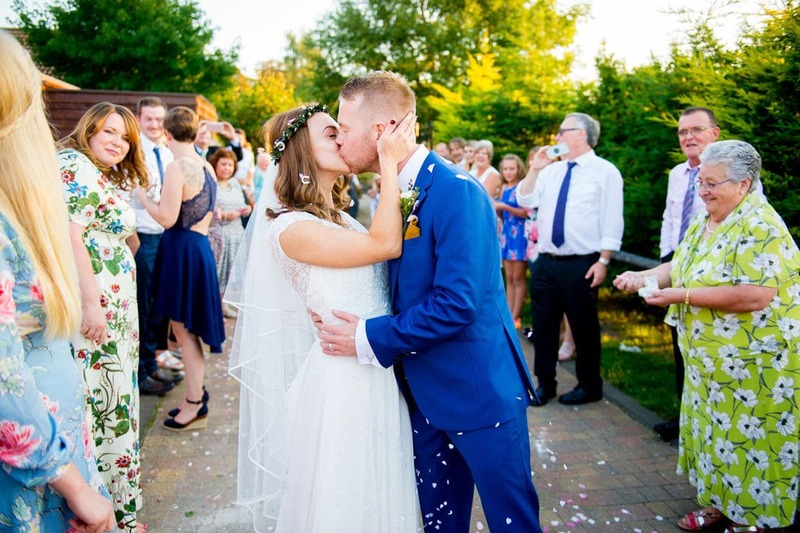 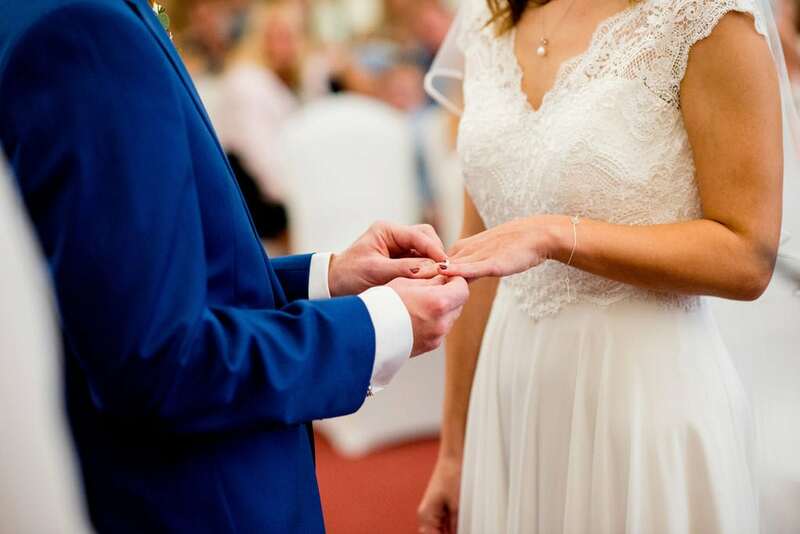 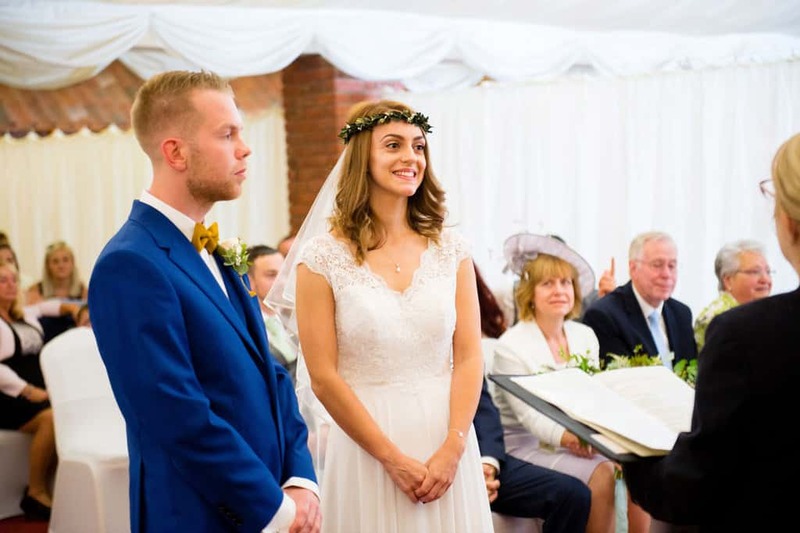 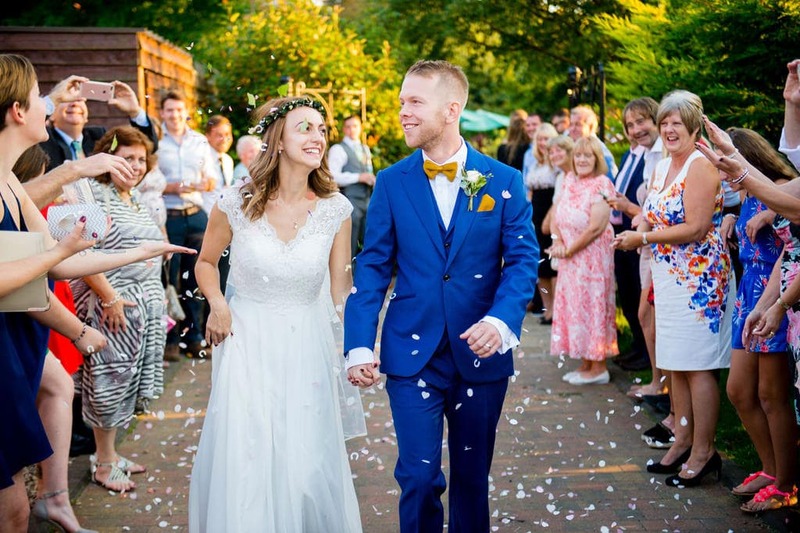 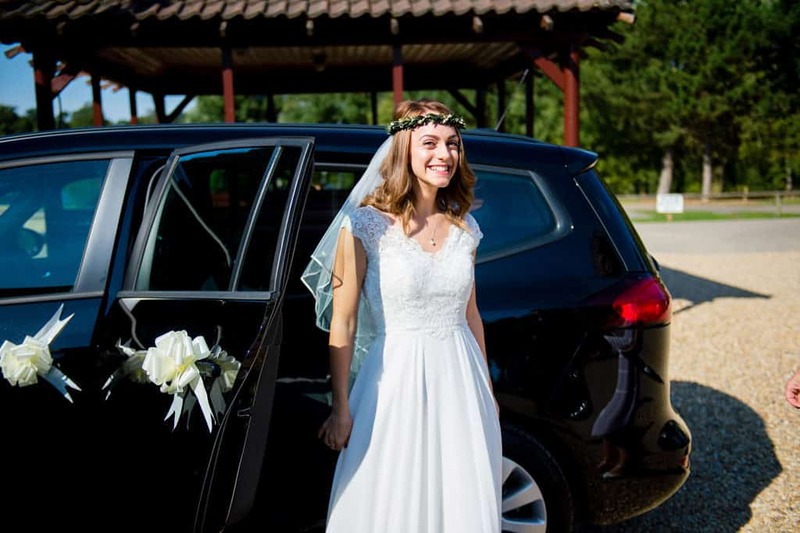 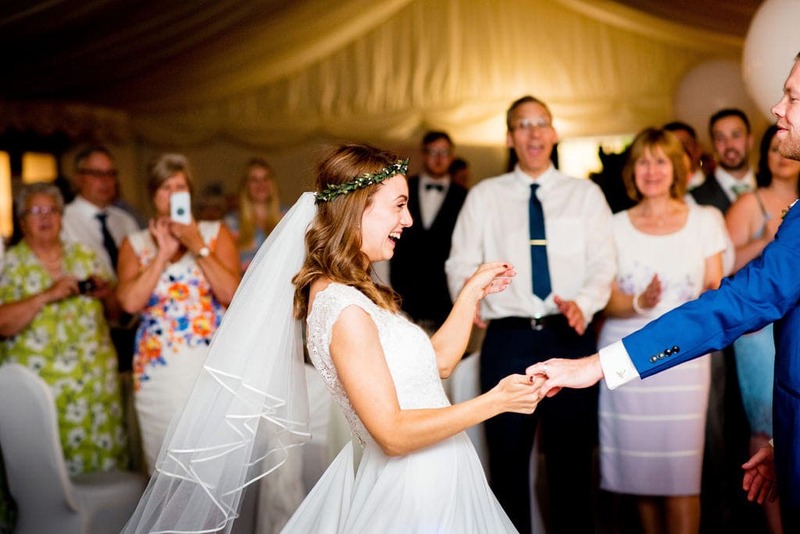 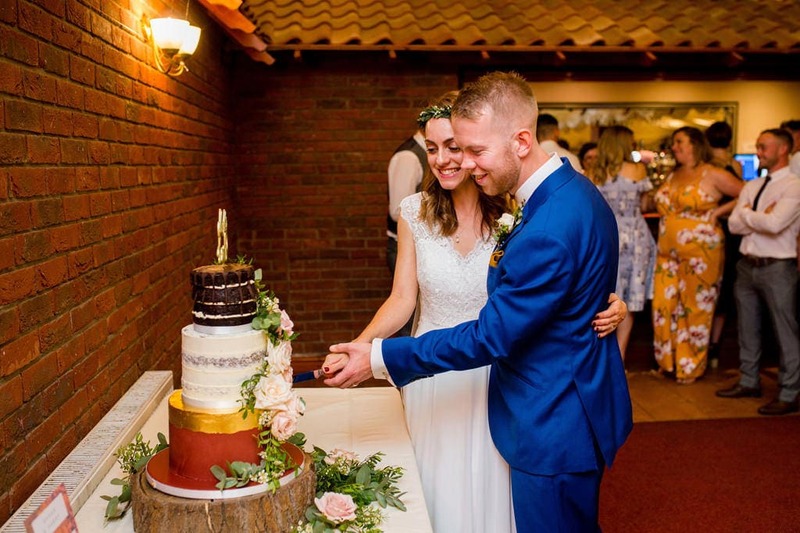 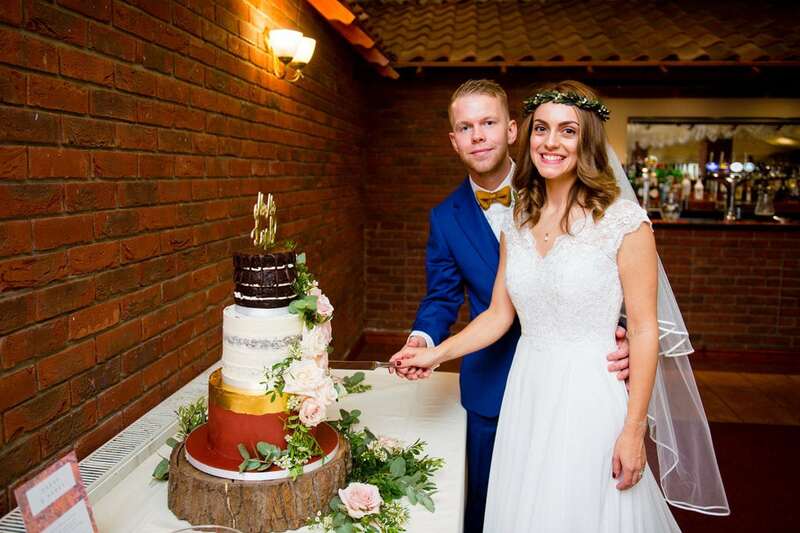 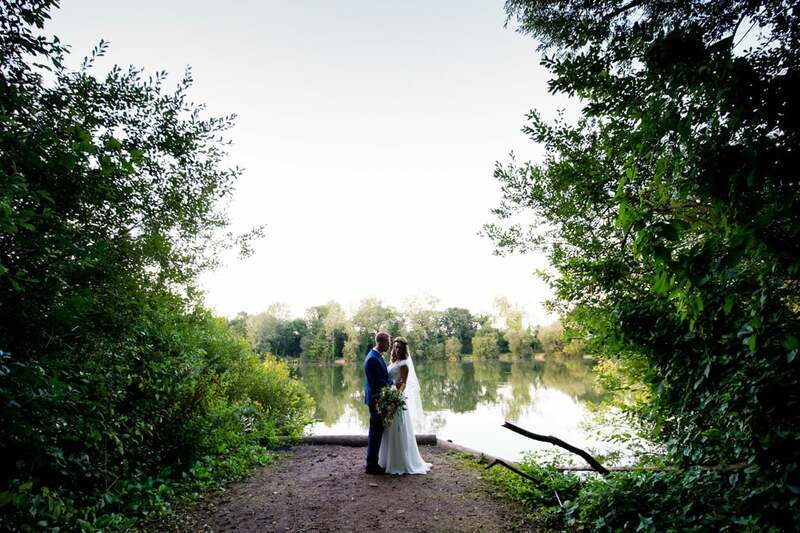 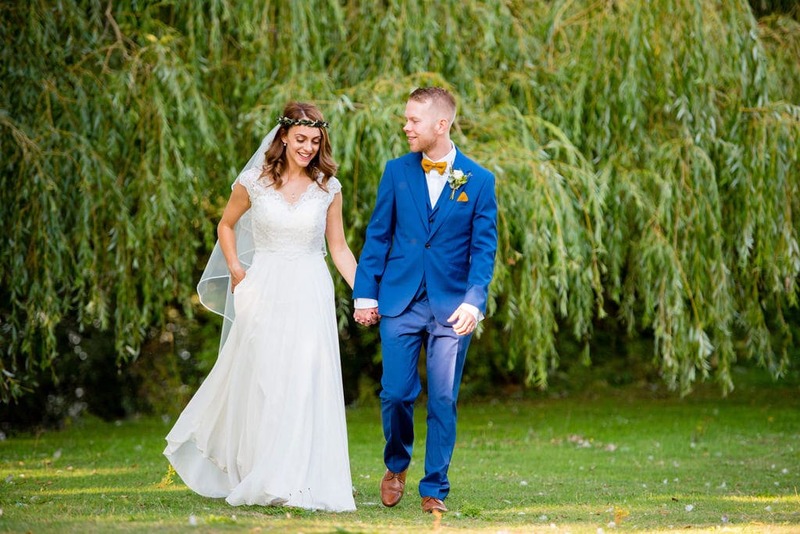 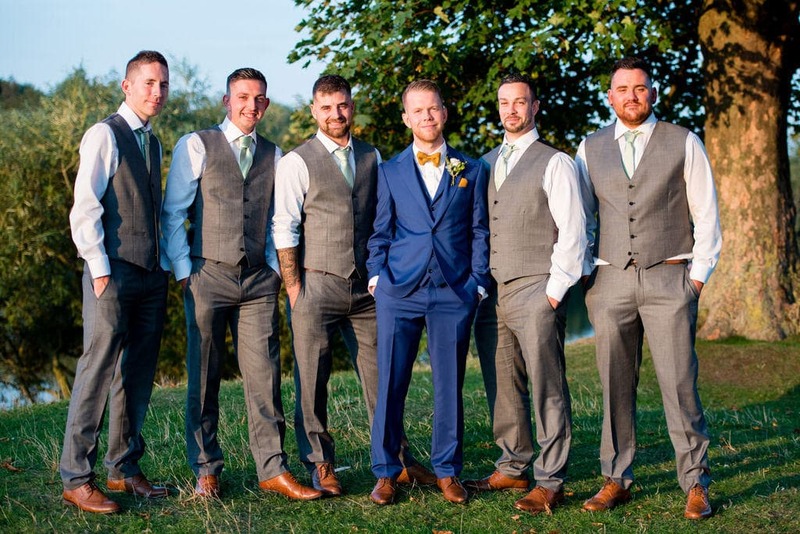 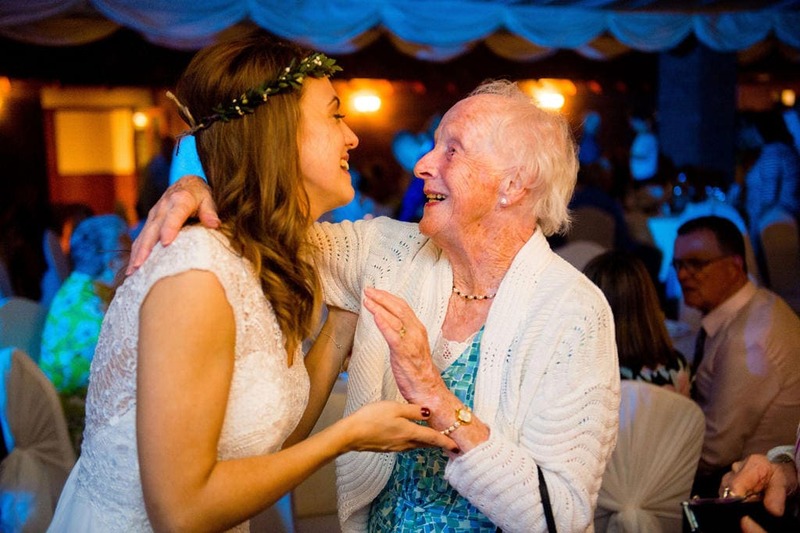 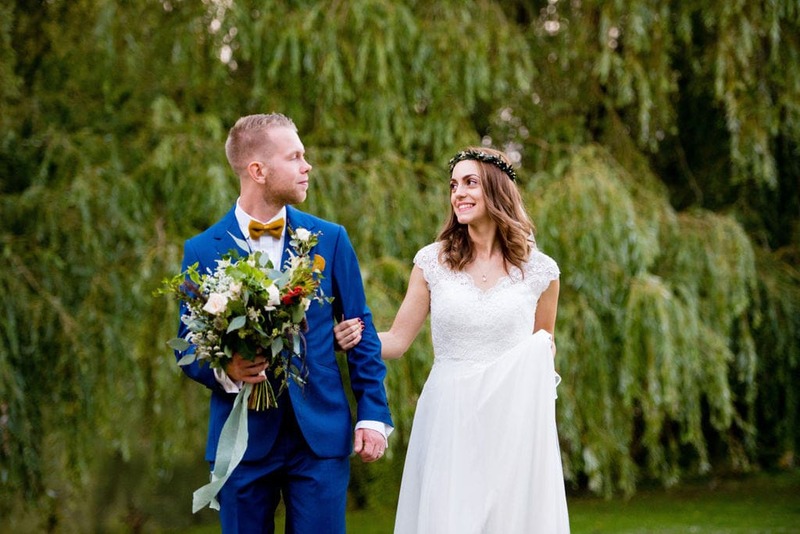 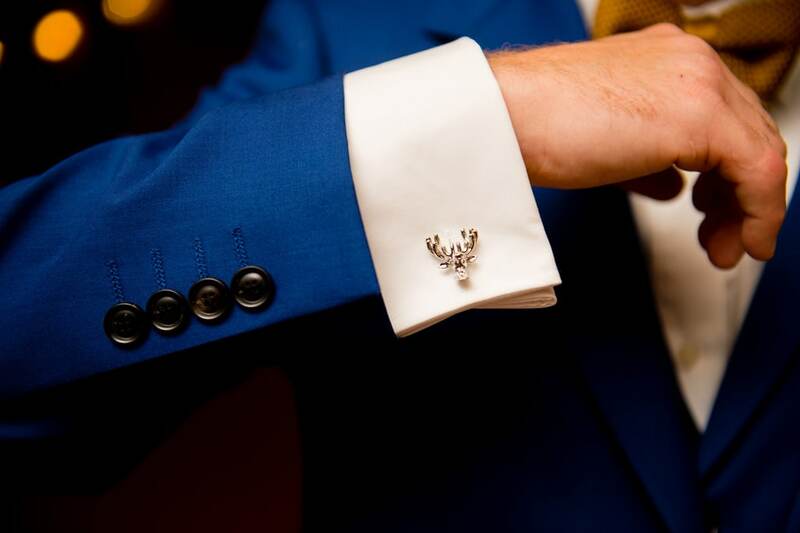 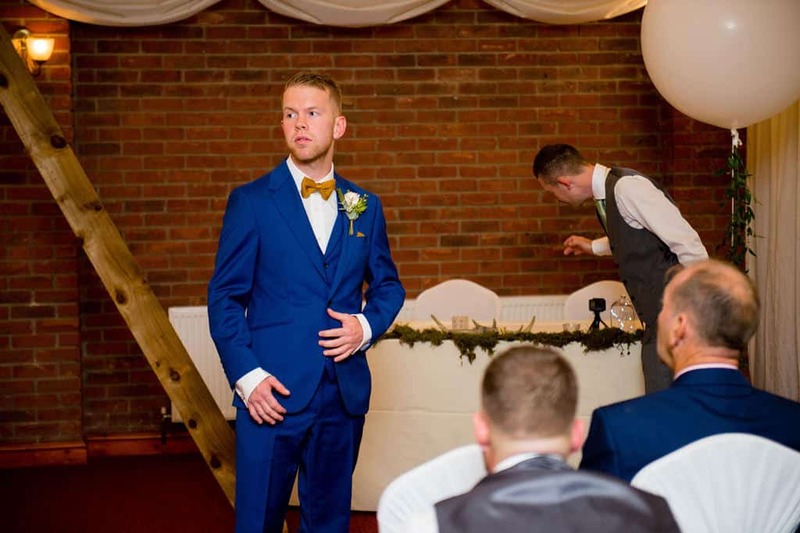 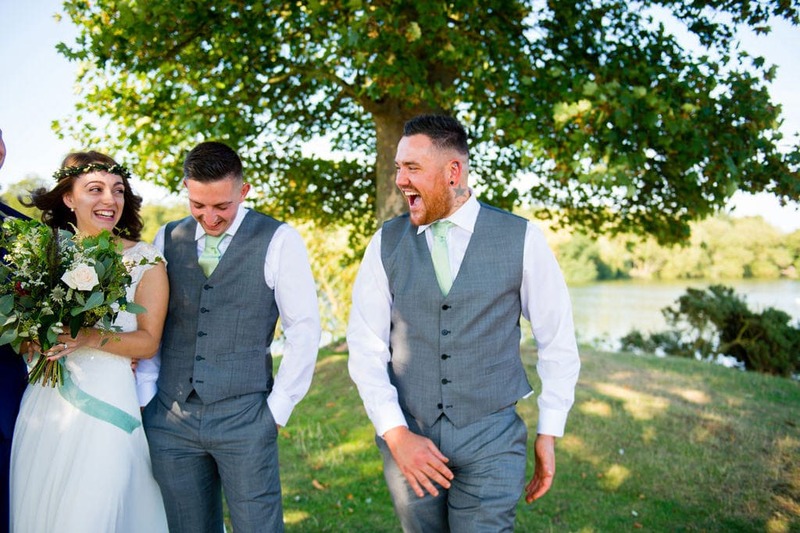 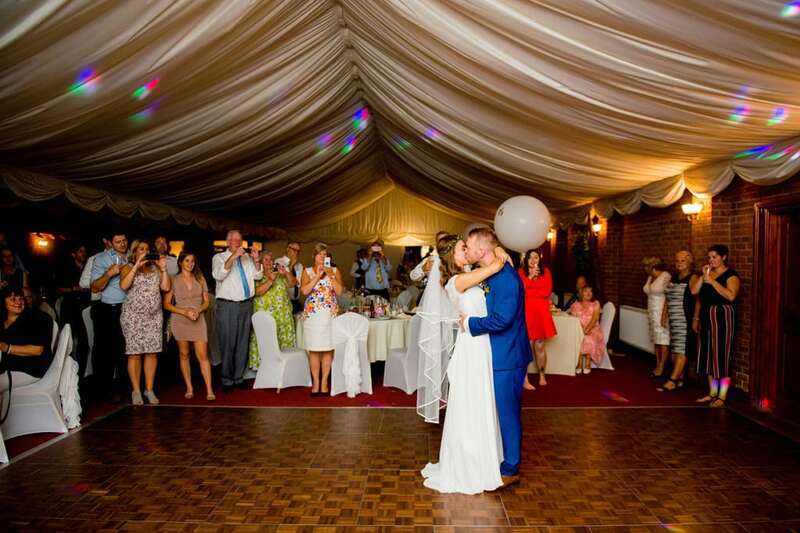 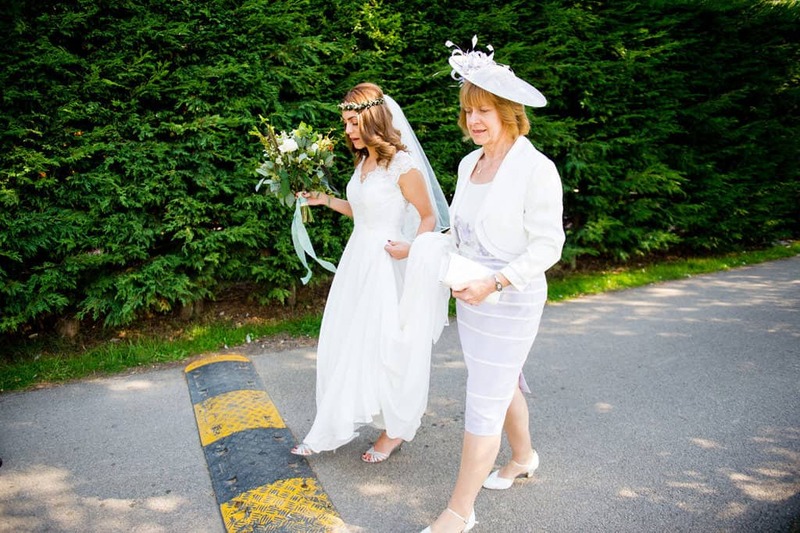 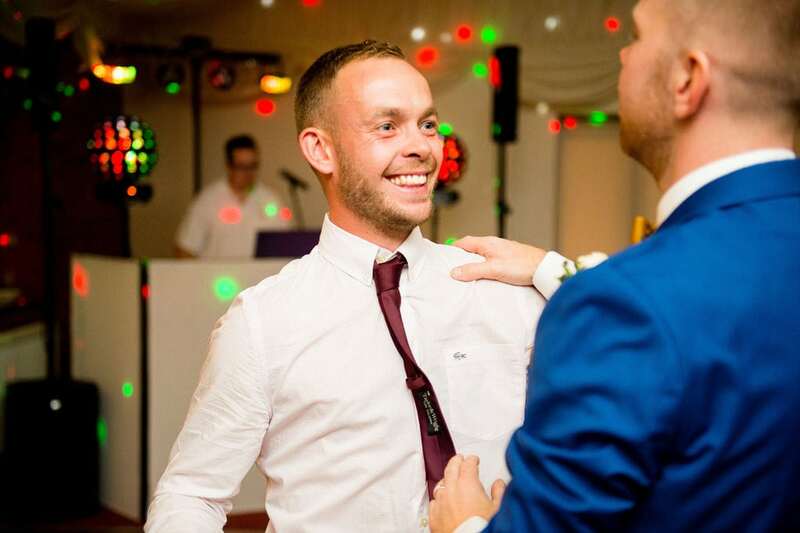 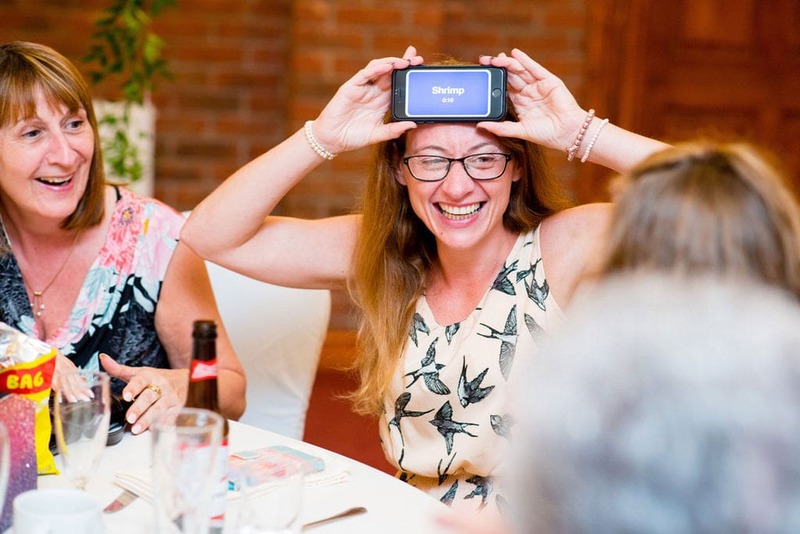 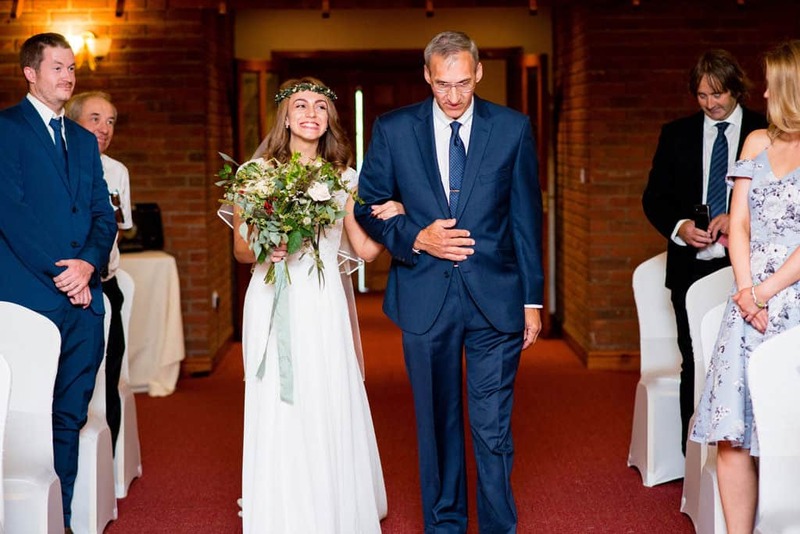 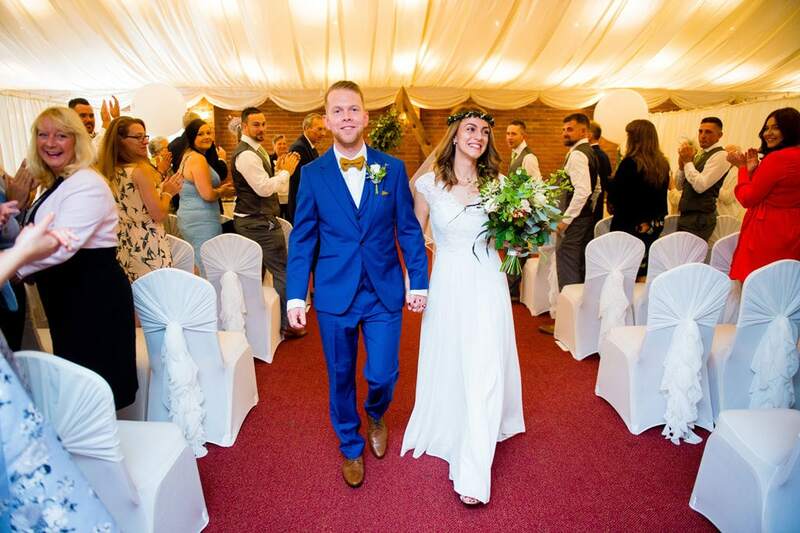 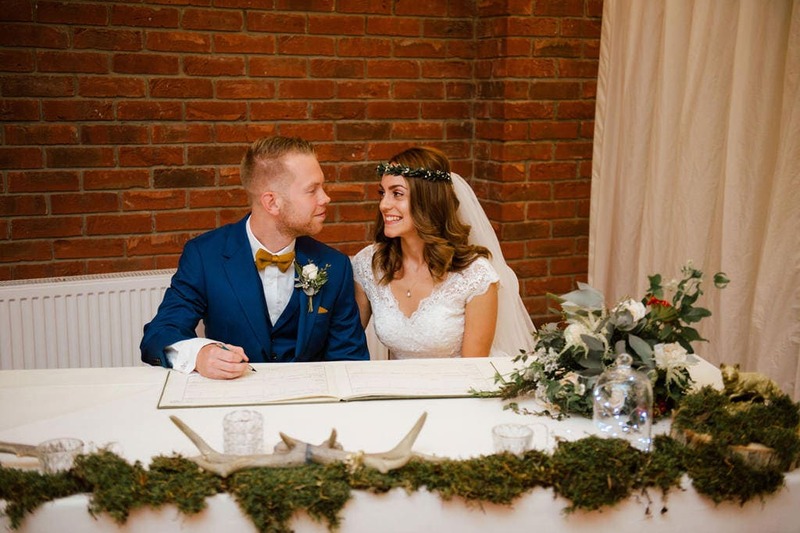 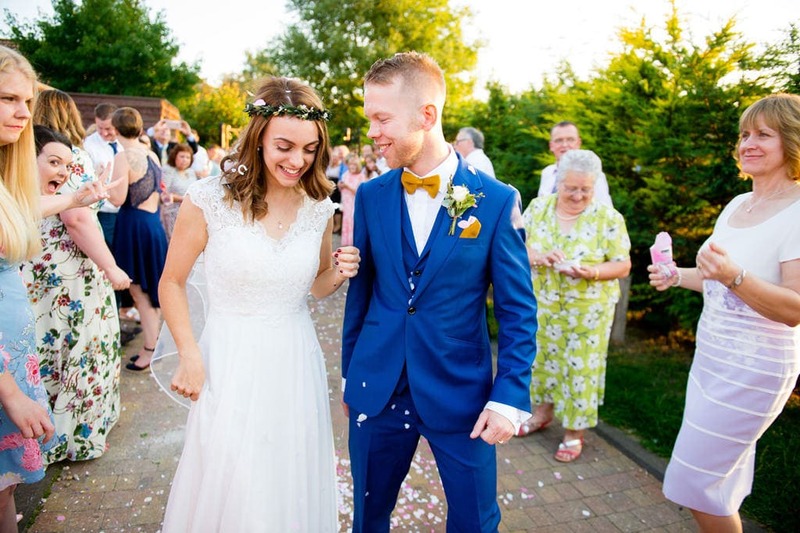 Sarah & Harry chose Woodland Waters in Ancaster, Lincolnshire for their big day. 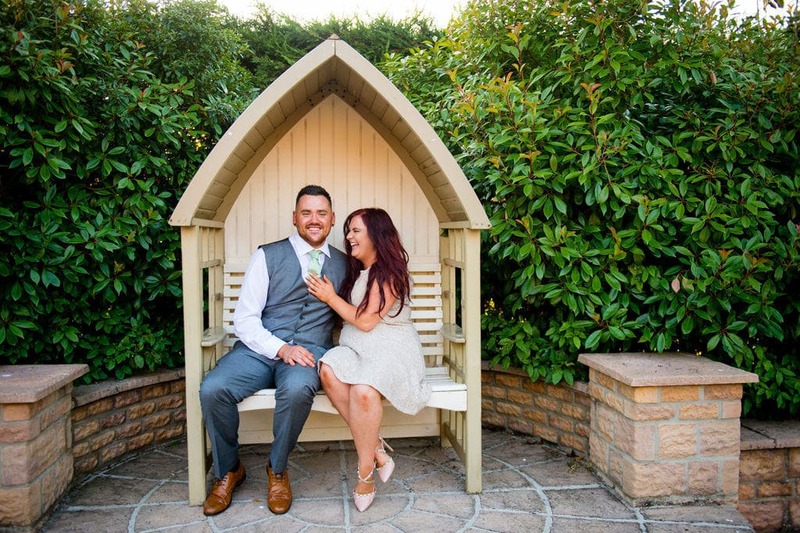 It’s a little gem nestled away in a beautiful wooded valley with picturesque surroundings and views over the lake. 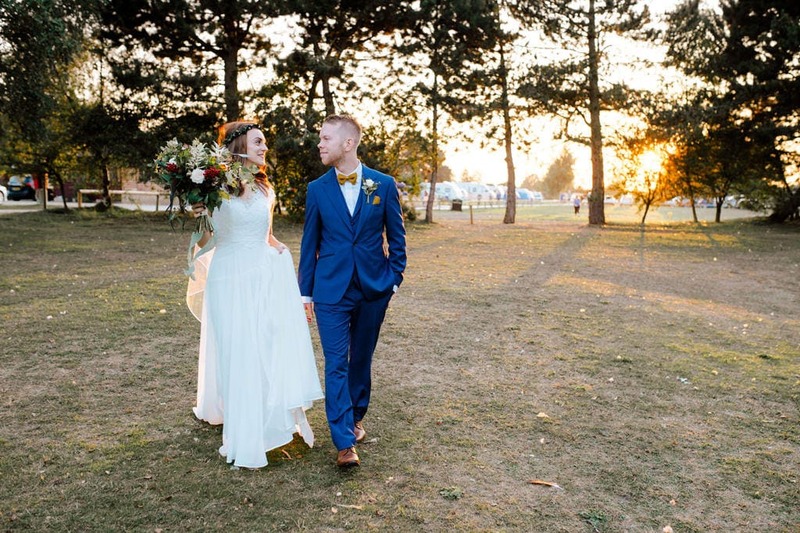 They decided on 4pm ceremony, which gave the day a relaxed feel and we got to make use of some lovely evening light for their photos. 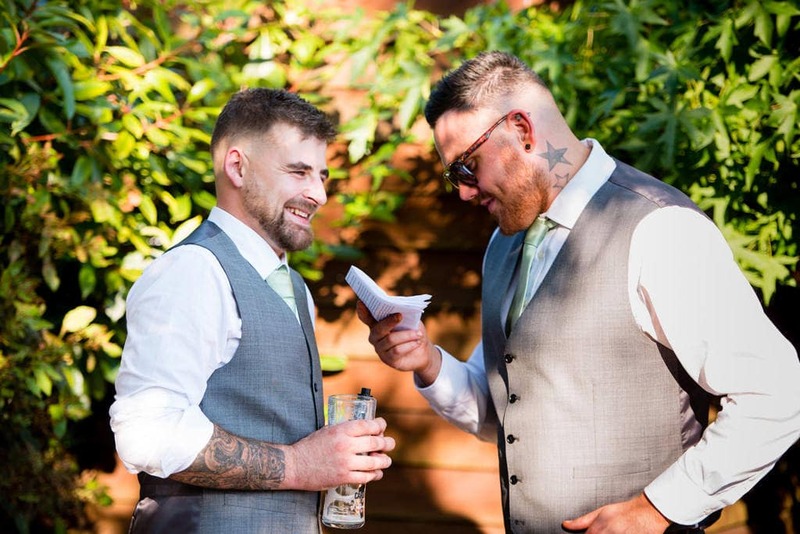 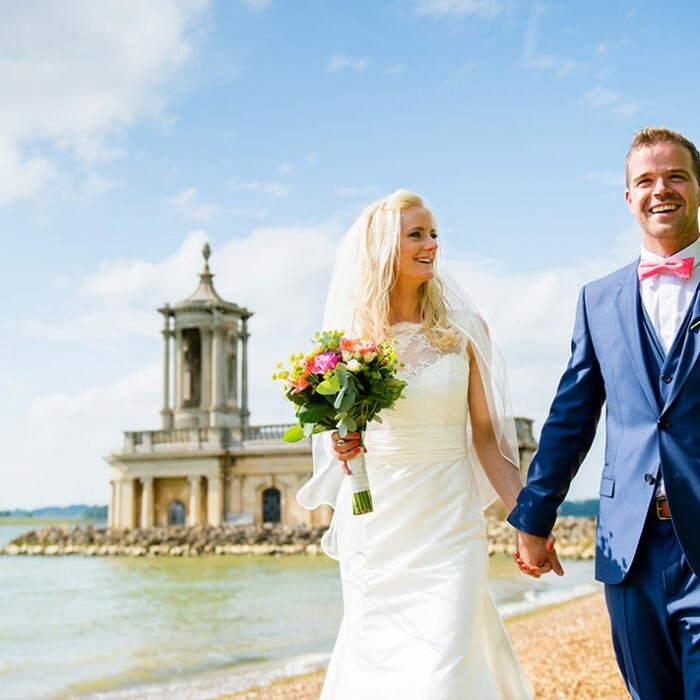 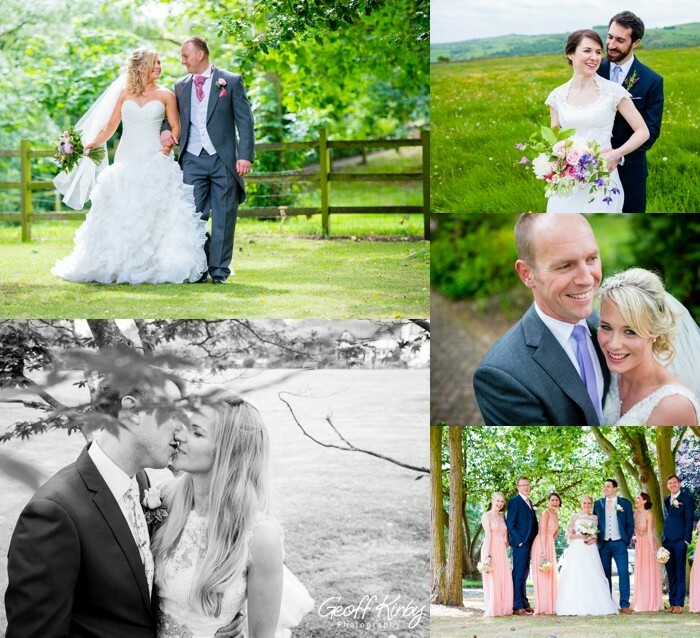 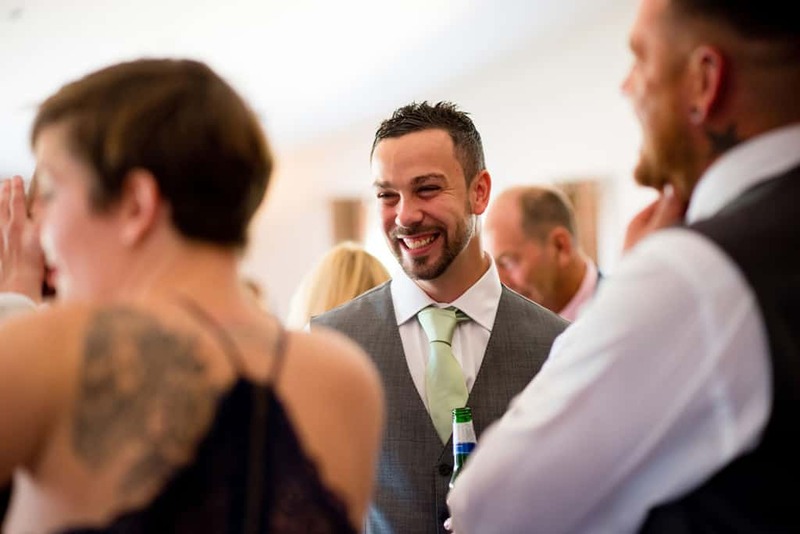 Every bride and groom is different and I love being able to work with each couple to plan their wedding day. 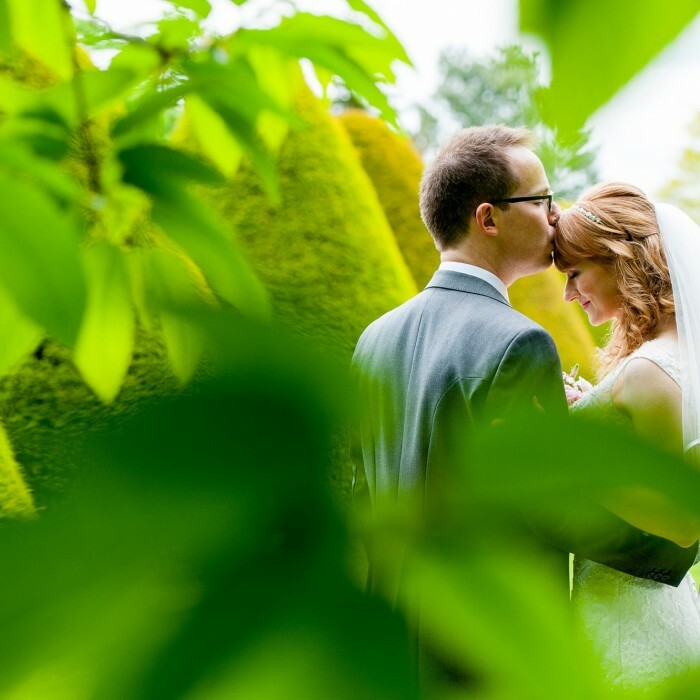 Sarah & Harry opted for no prep photos, which simply means I left them in peace in the morning. 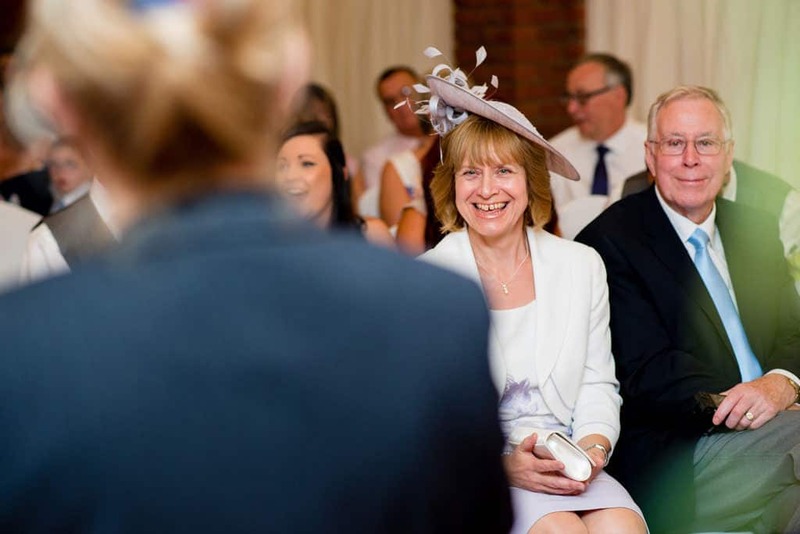 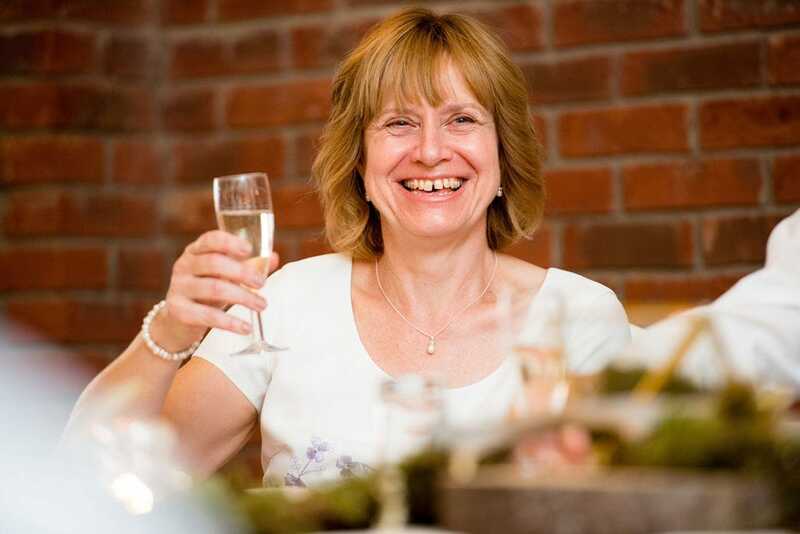 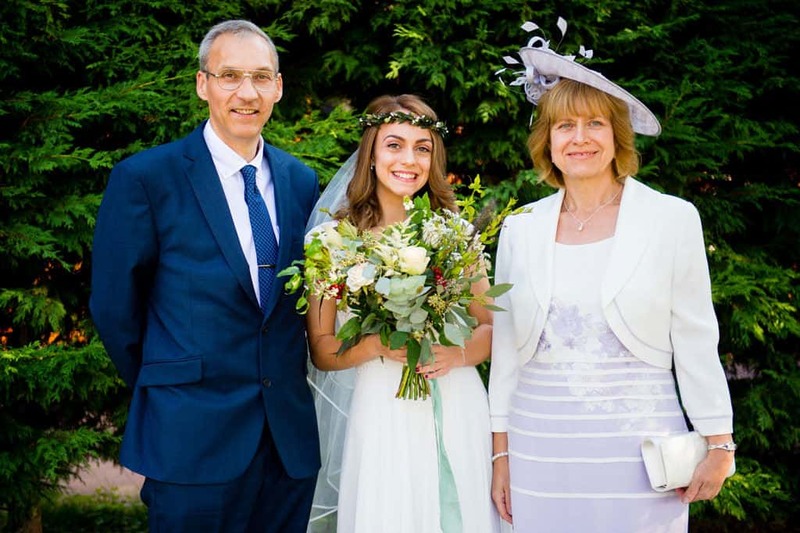 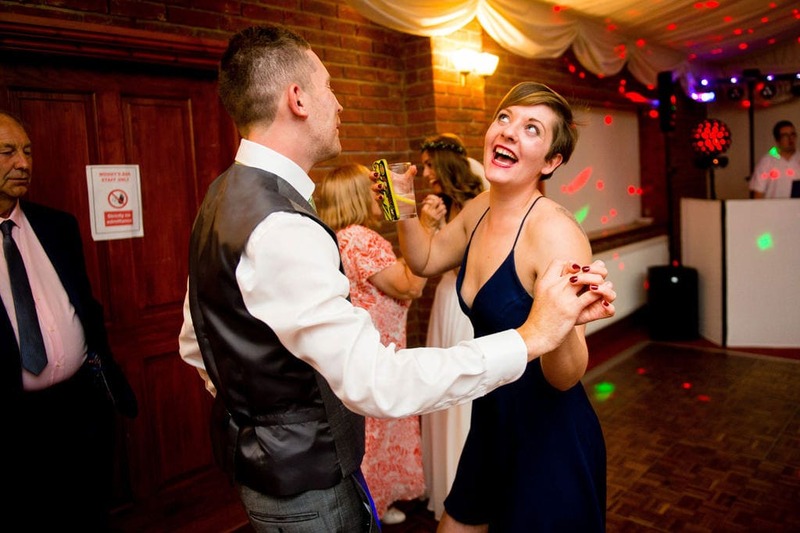 Sarah got ready at her parents home in Heckington and I joined them for the ceremony and of course for the partying! 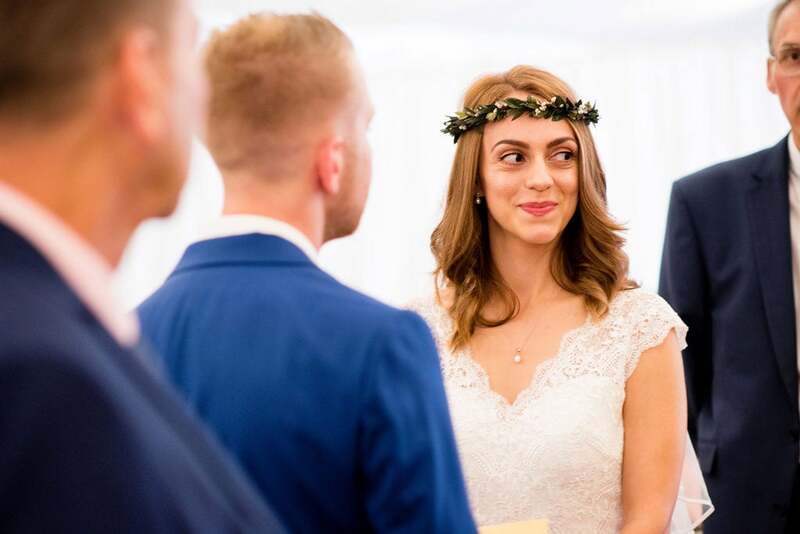 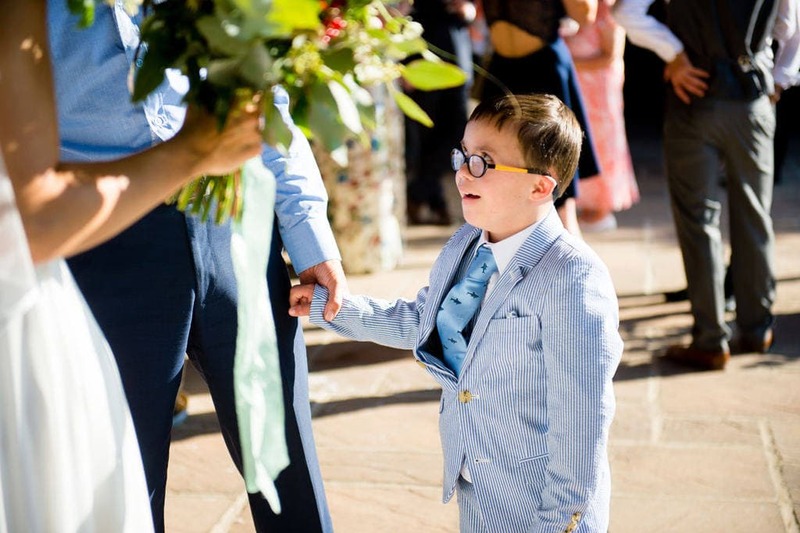 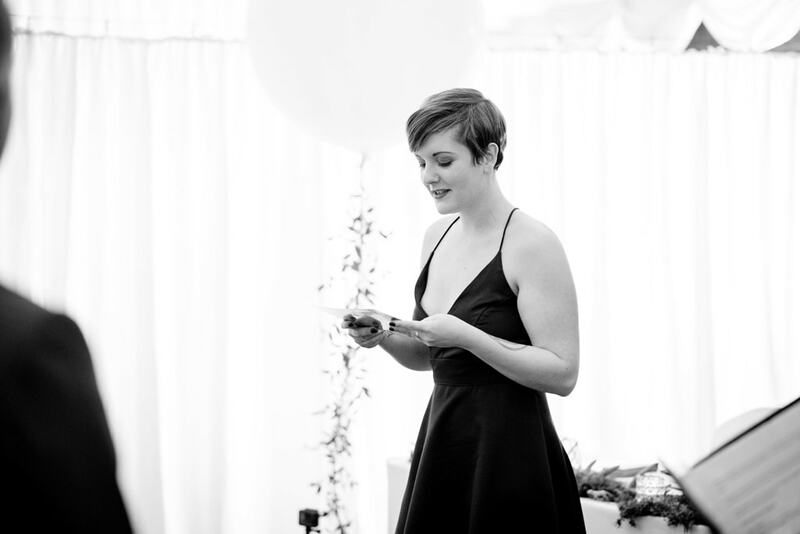 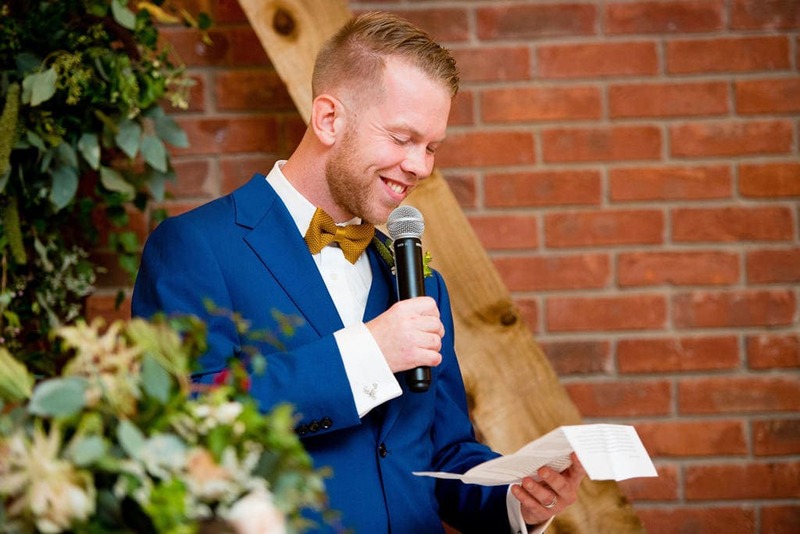 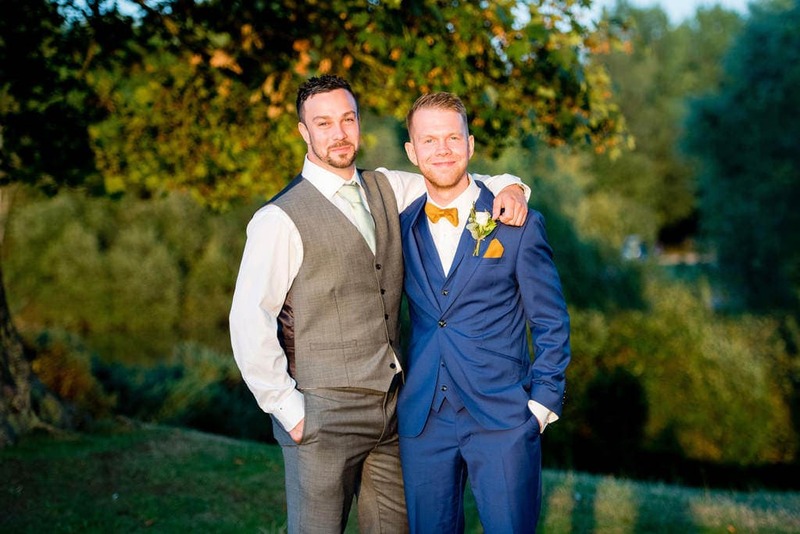 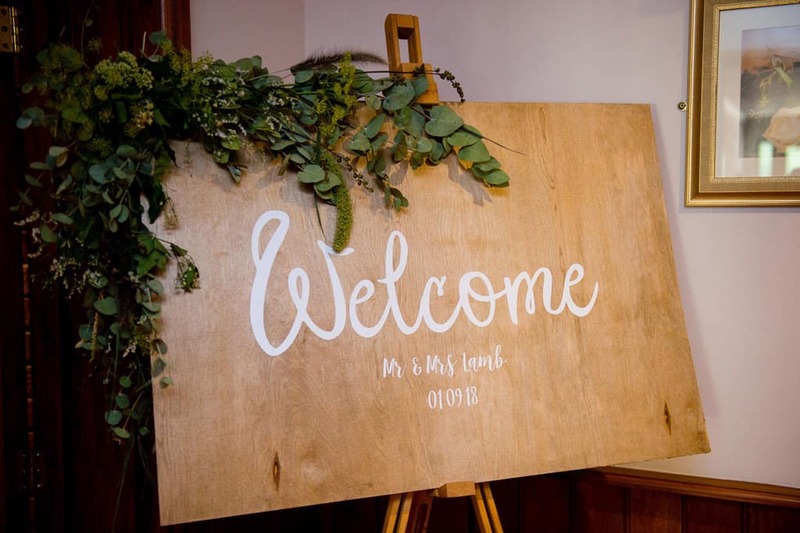 Their wedding venue was full of gorgeous stylish details. 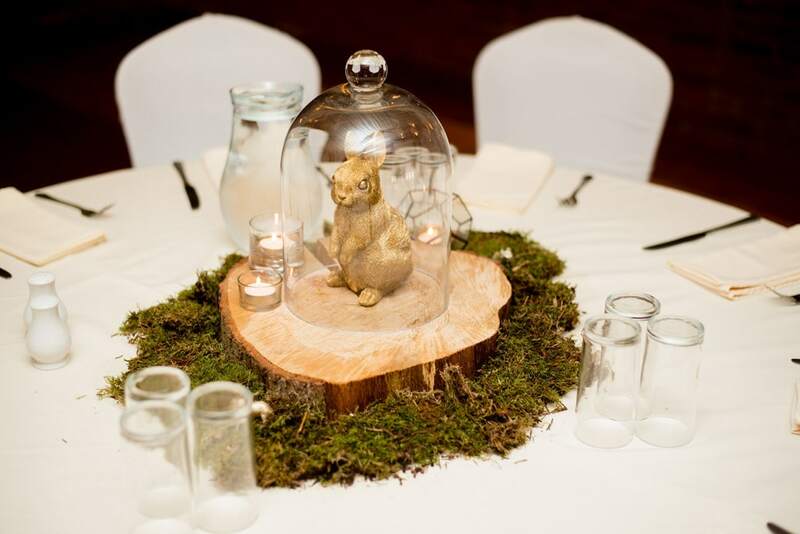 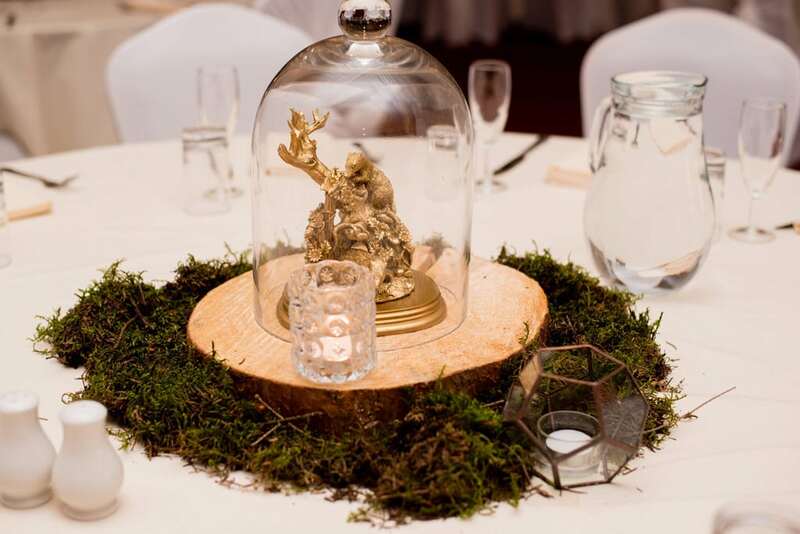 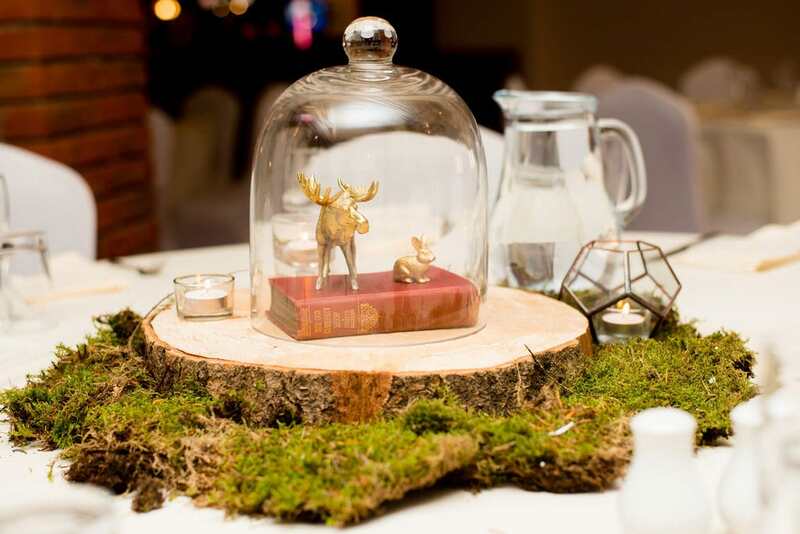 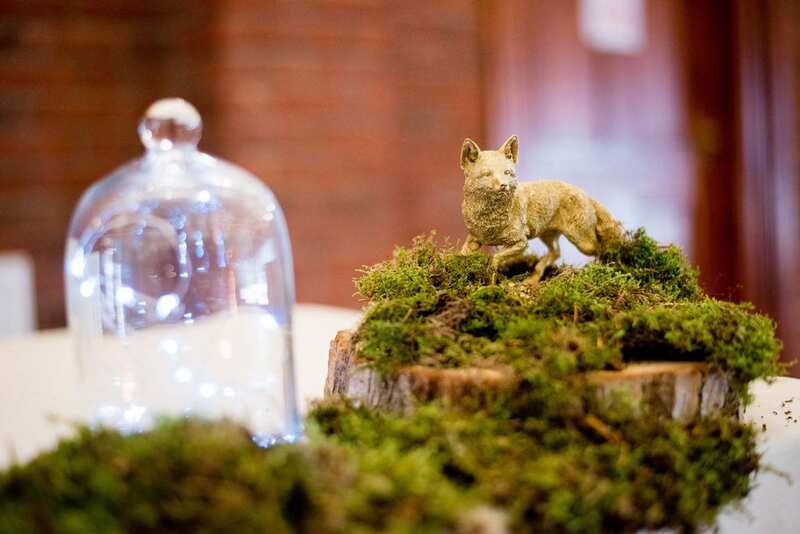 The table centrepieces combined log centres, topped with vintage books, gold animals and glass cloches. 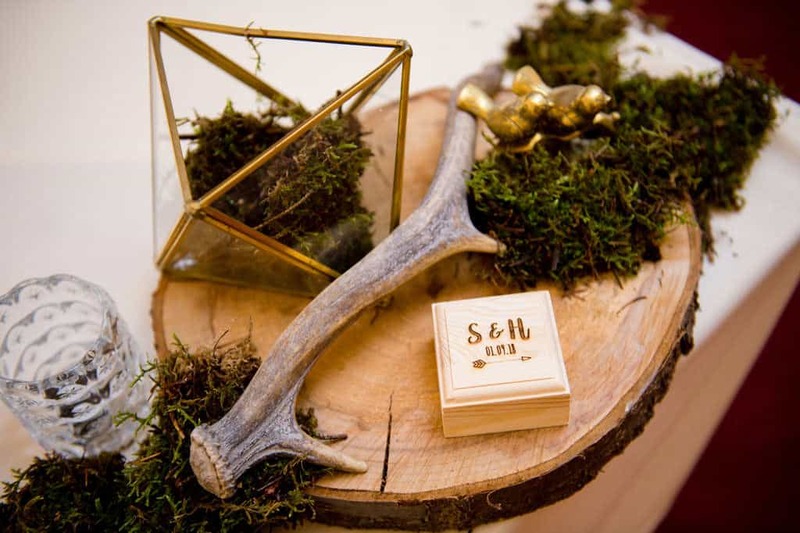 All surrounded by deep green moss, flowing in and out of the gold geometric terrariums. 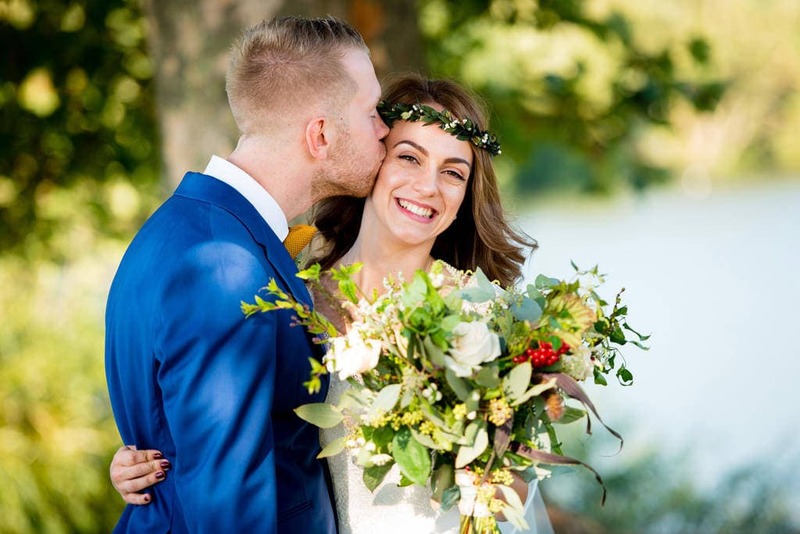 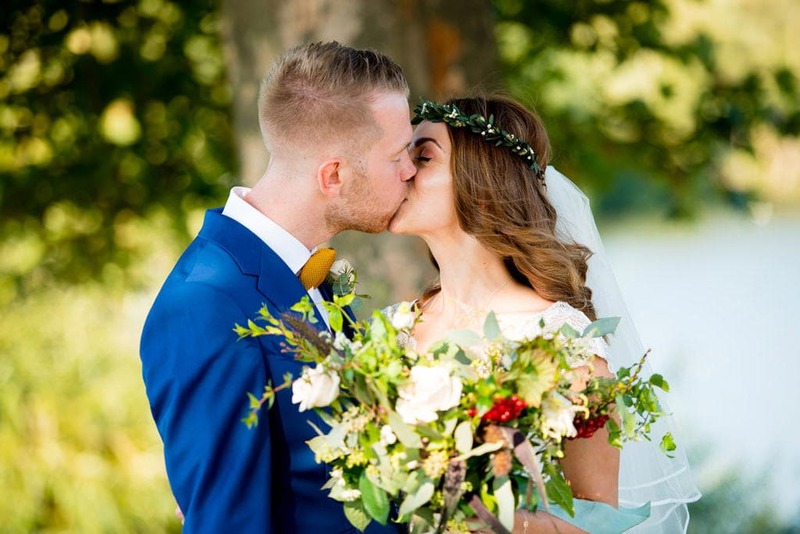 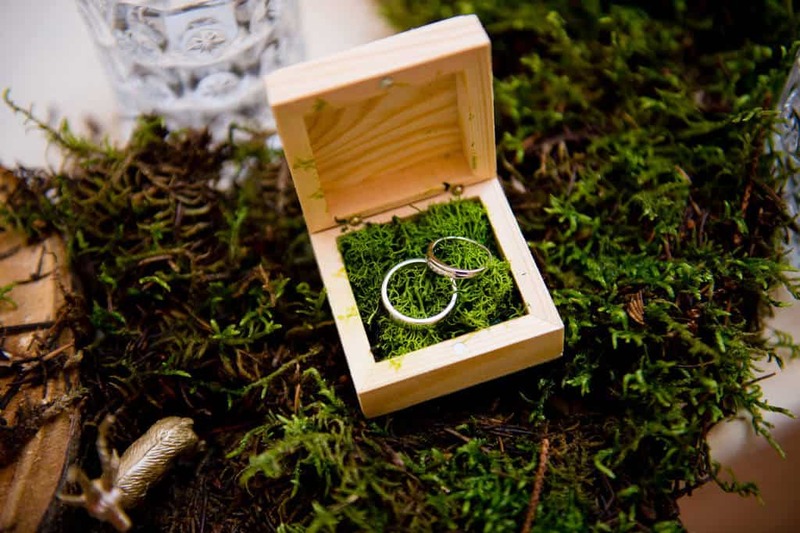 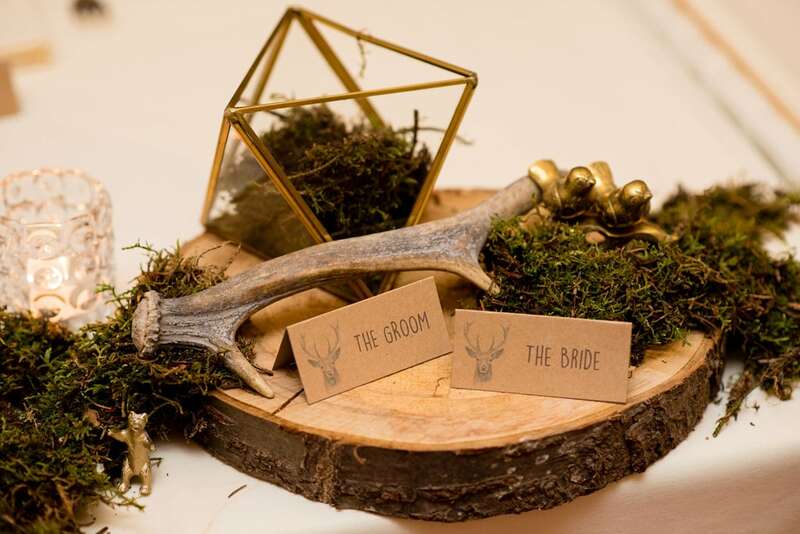 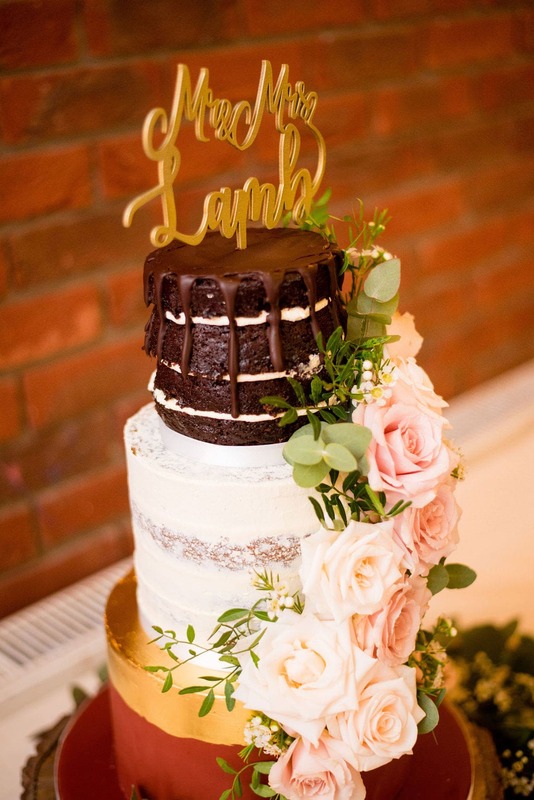 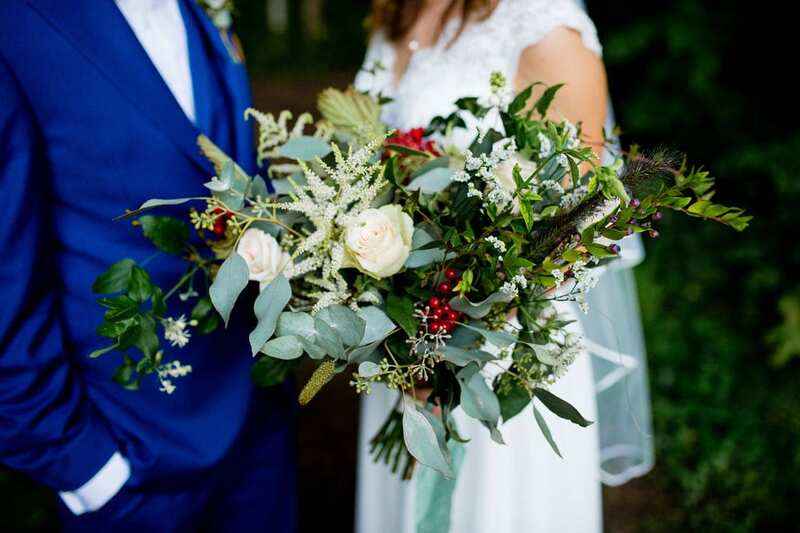 This wedding styling was a woodland wedding Pinterest dream! 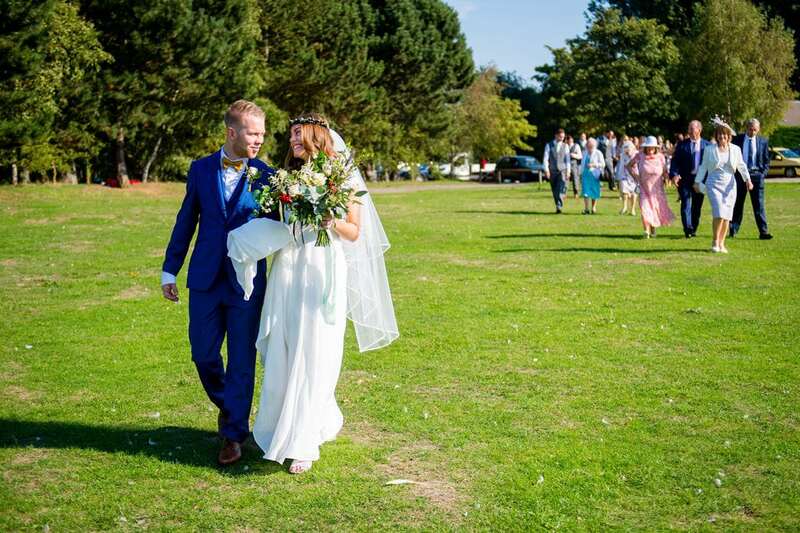 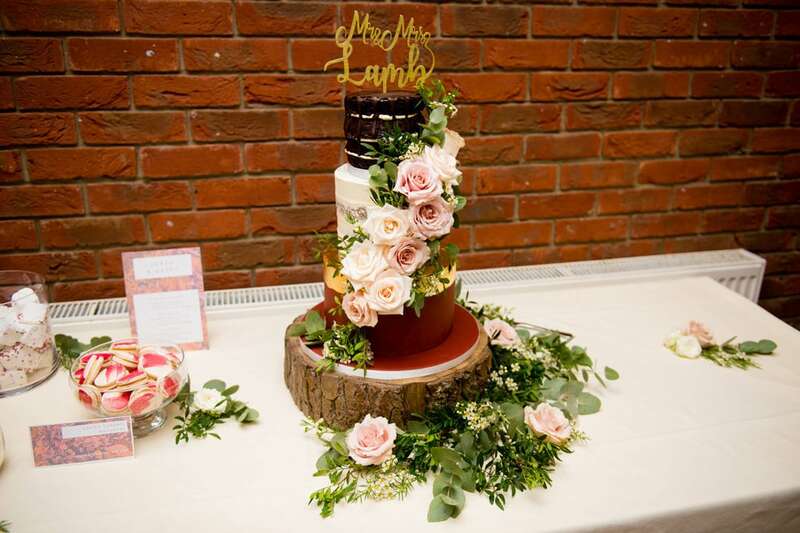 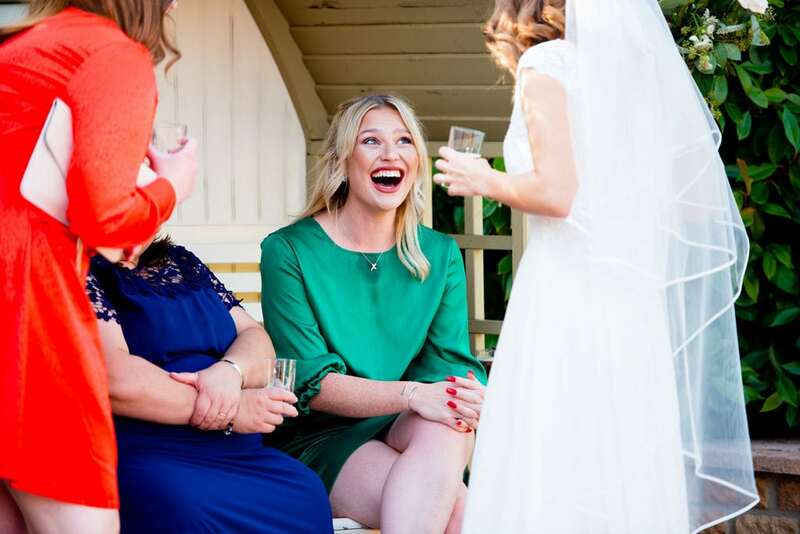 They feasted on a delicious BBQ, some say BBQ’s and wedding dresses don’t mix… I say MORE BBQ’s at weddings please! 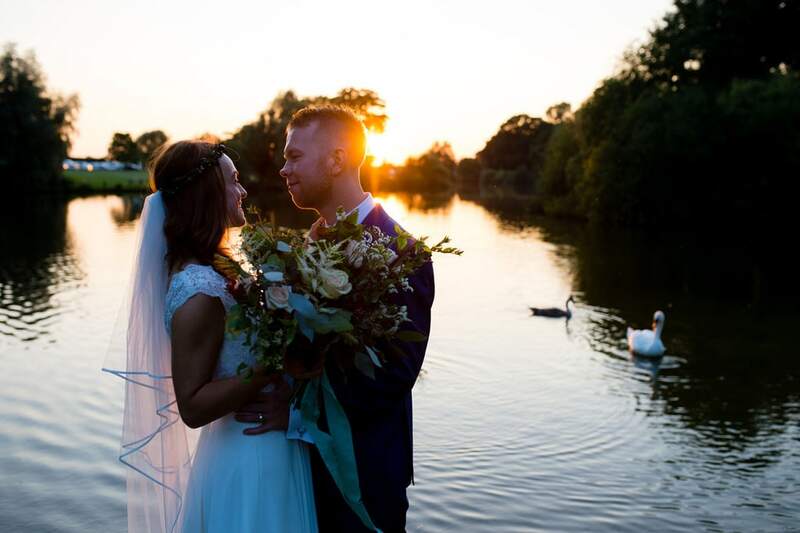 I managed to steal Sarah & Harry away from their guest to take some lovely intimate photos in the golden hour by the lake. 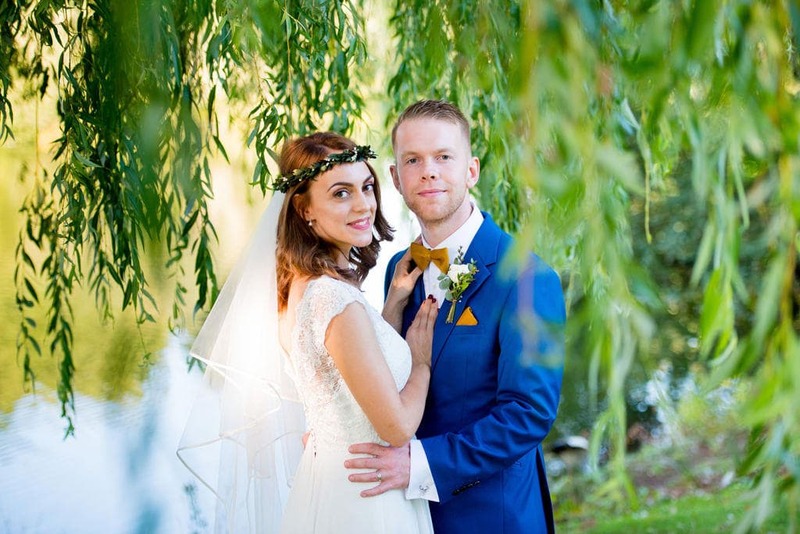 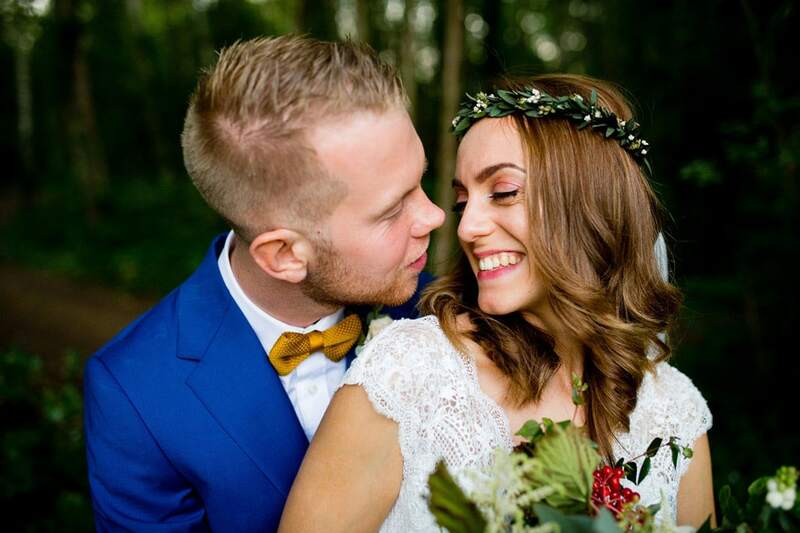 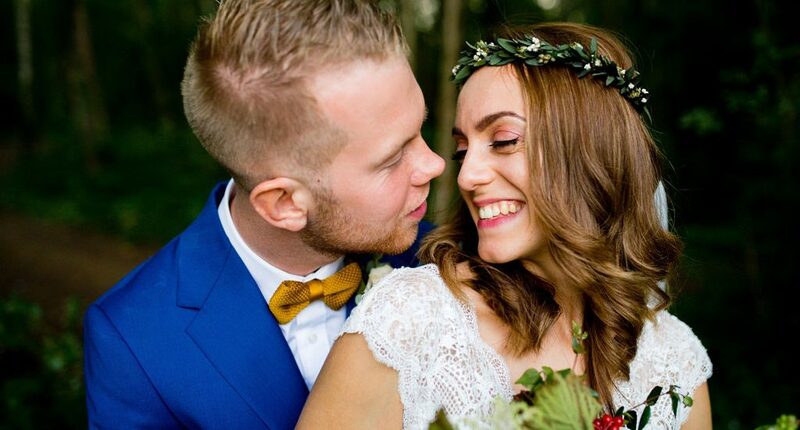 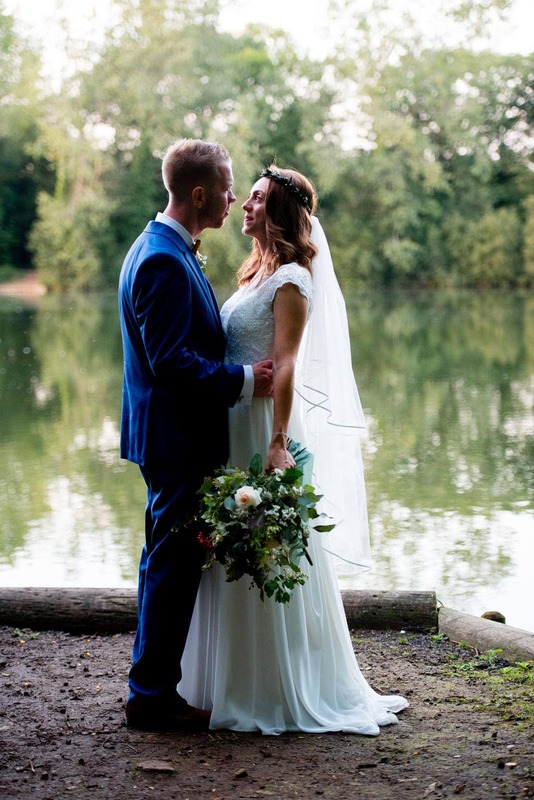 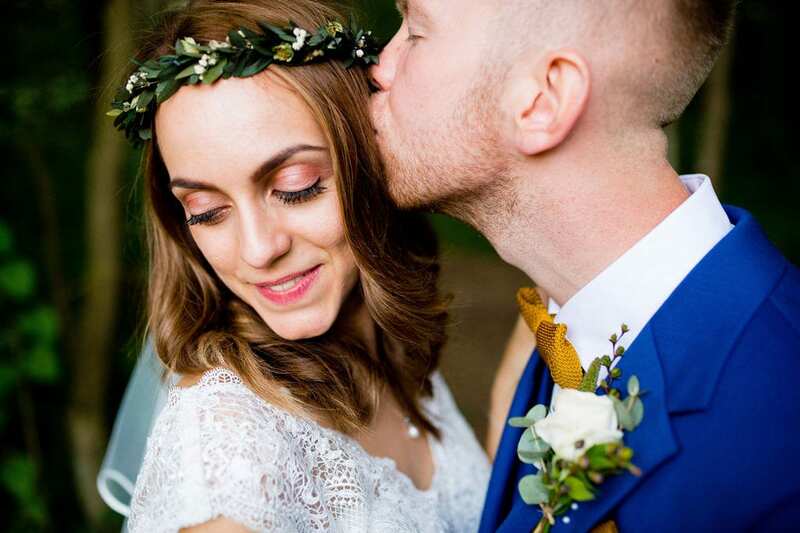 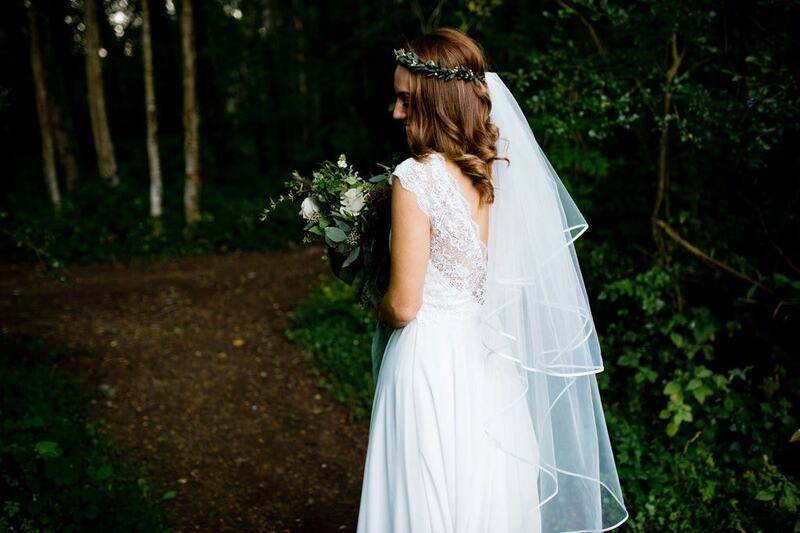 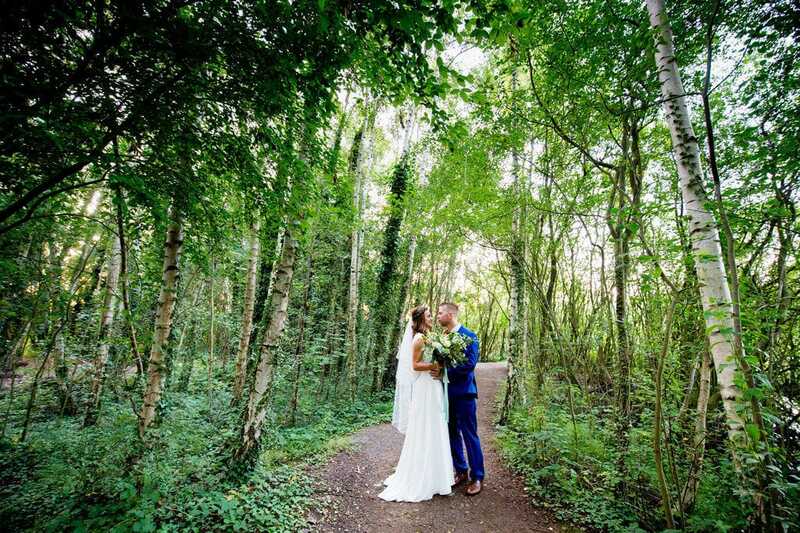 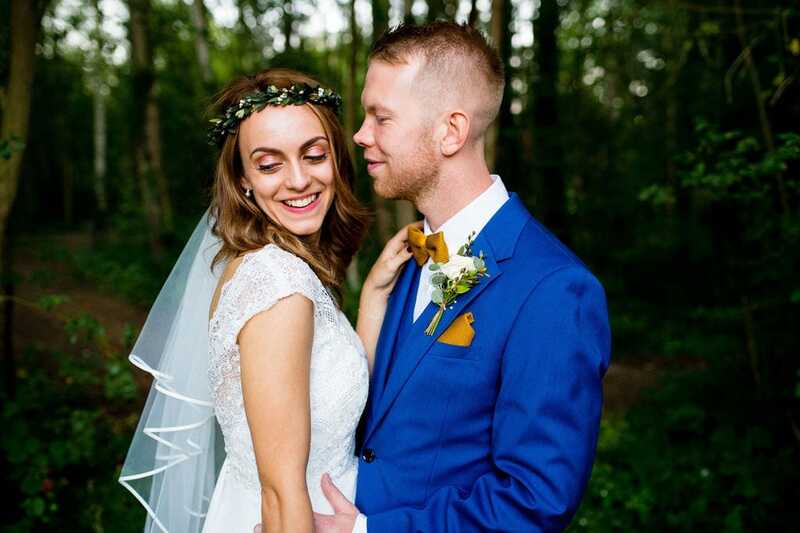 Sarah embraced their woodland setting with her gorgeous lace wedding dress. 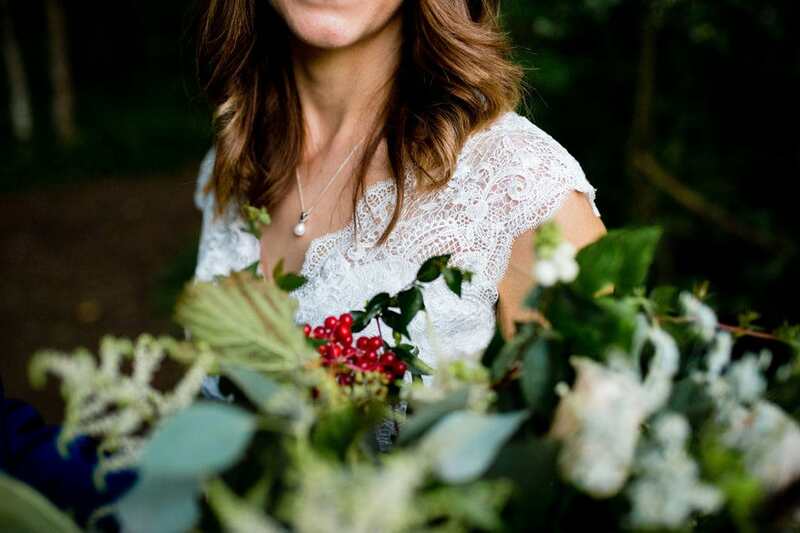 Topped with an overflowing bouquet with pops of red berries. 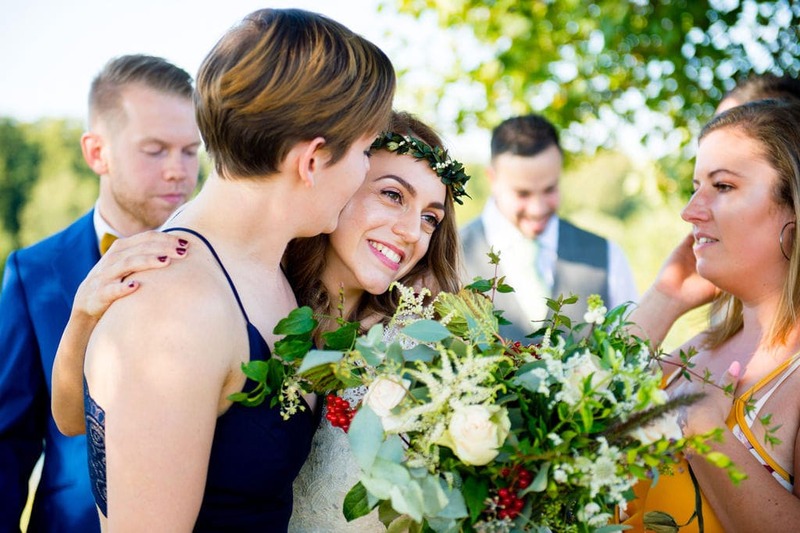 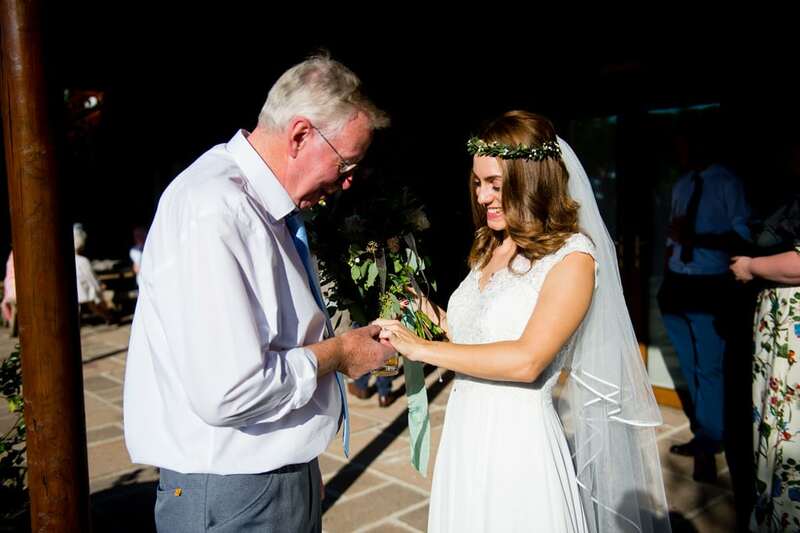 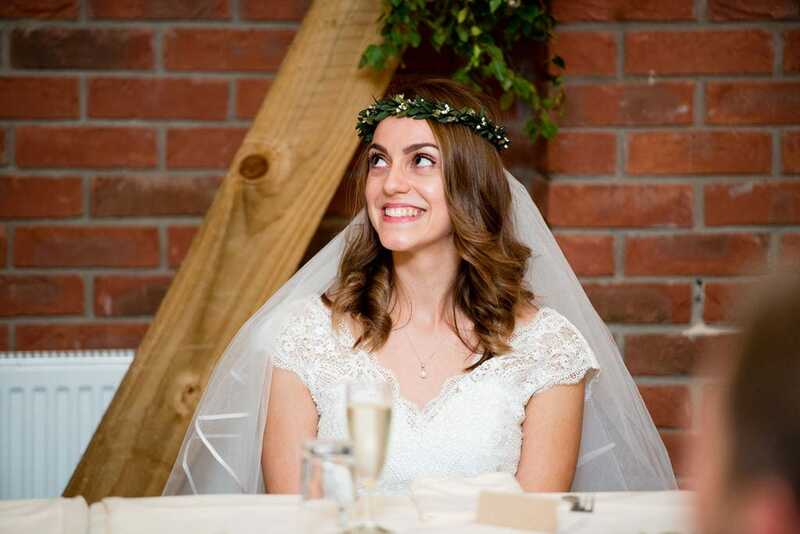 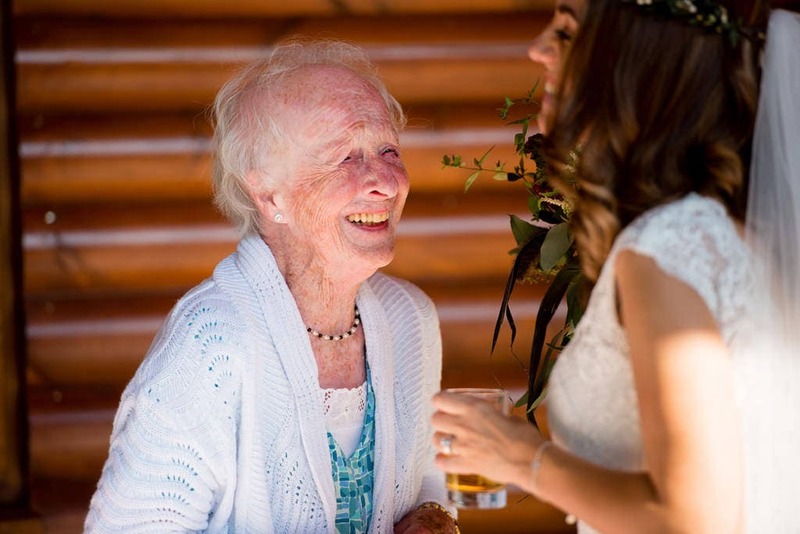 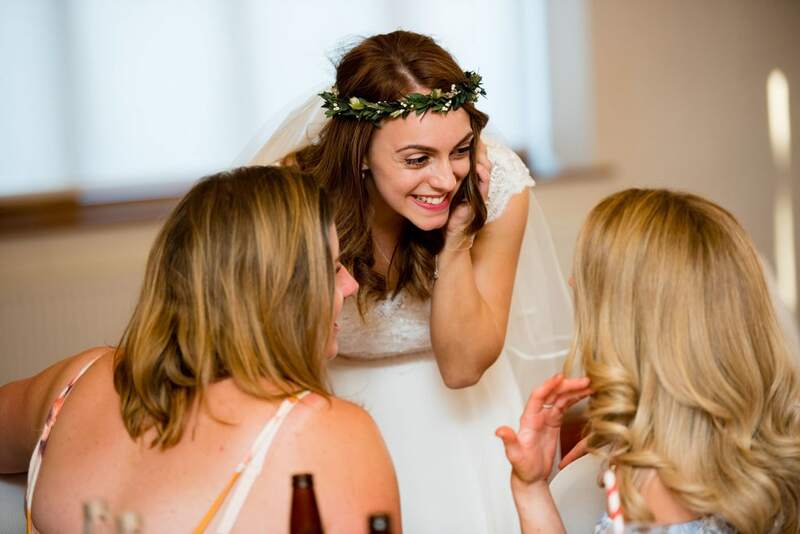 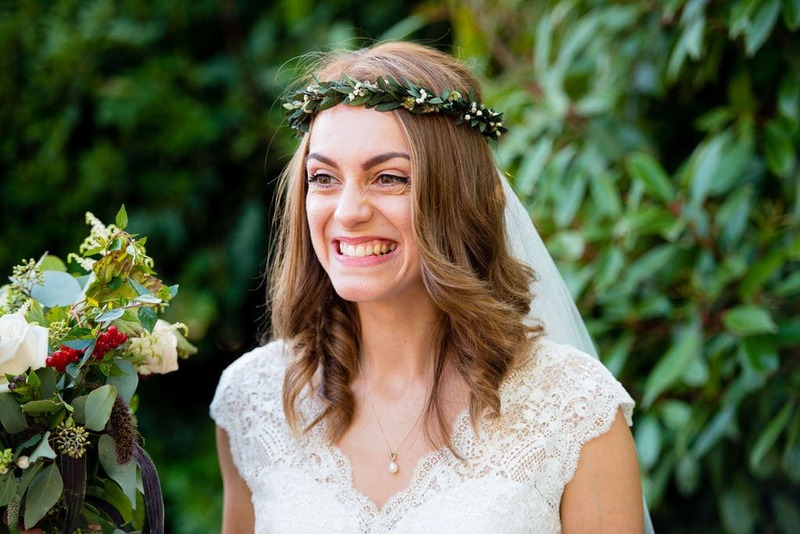 And, of course, no woodland wedding is complete without a beautifully simple flower crown. 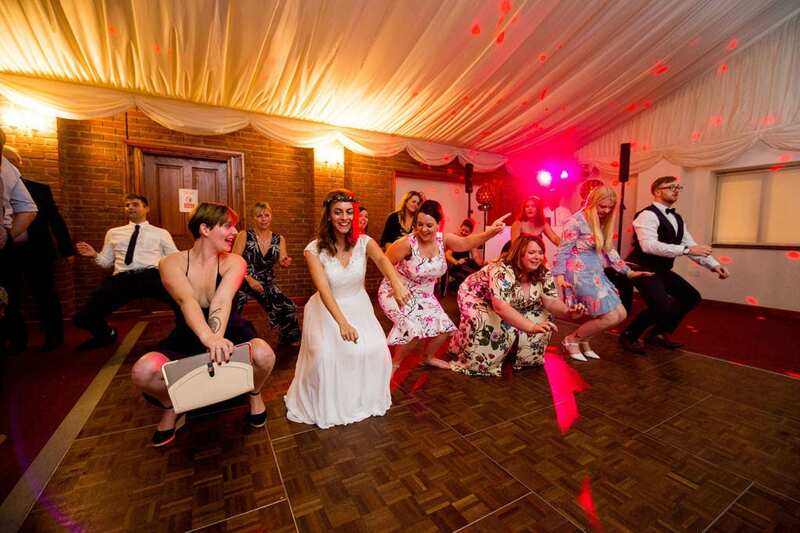 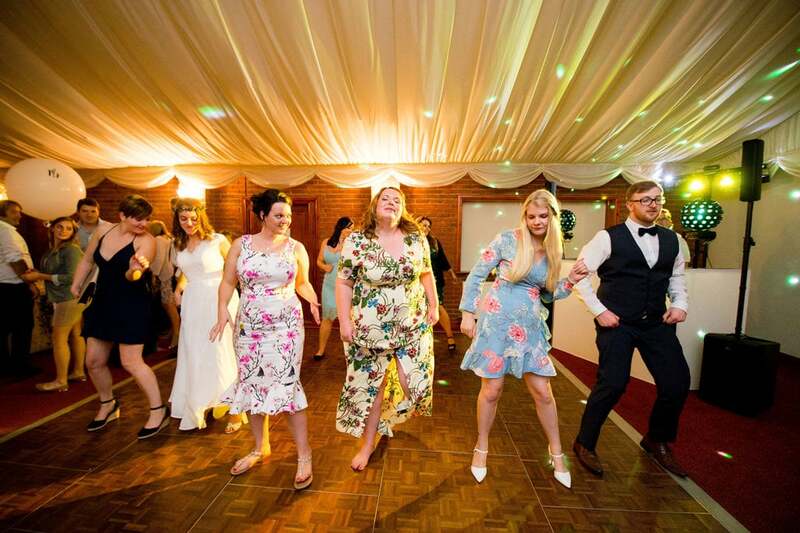 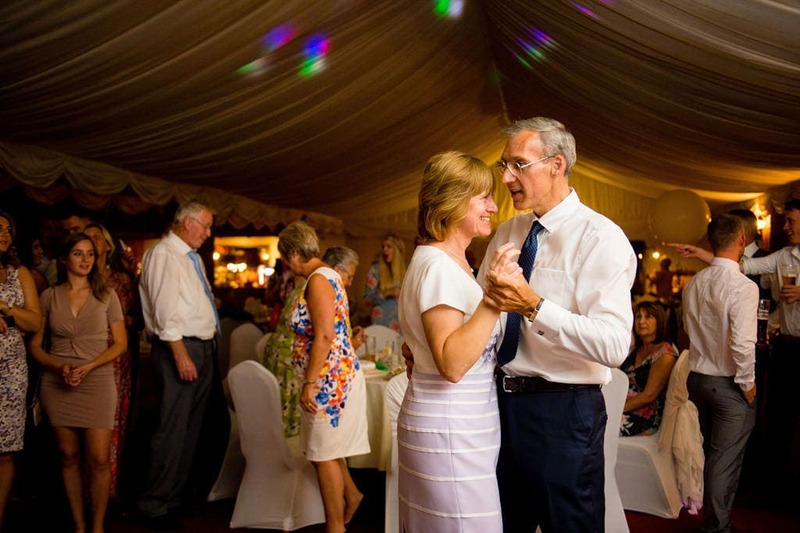 Take a look here for at my other Lincolnshire weddings.